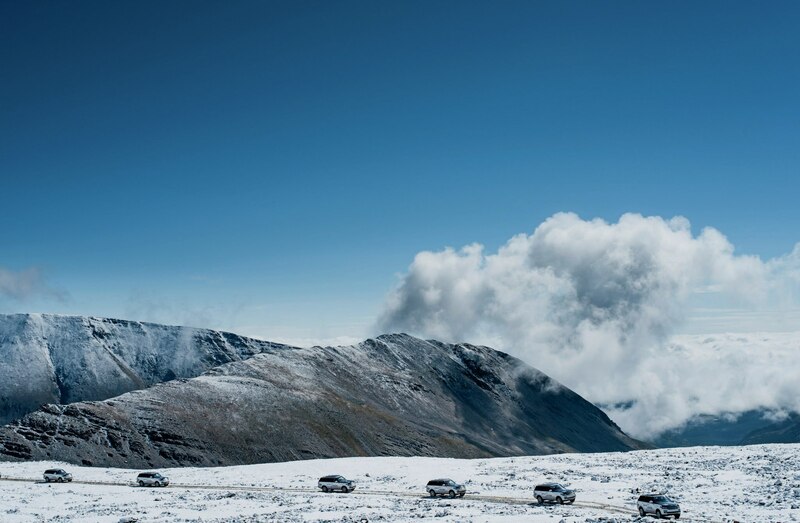 Although it seems as though our little group couldn’t be more alone, above the tree line on the windswept peaks at the top of the Colorado Rockies, we follow in the tracks of those who have gone before. 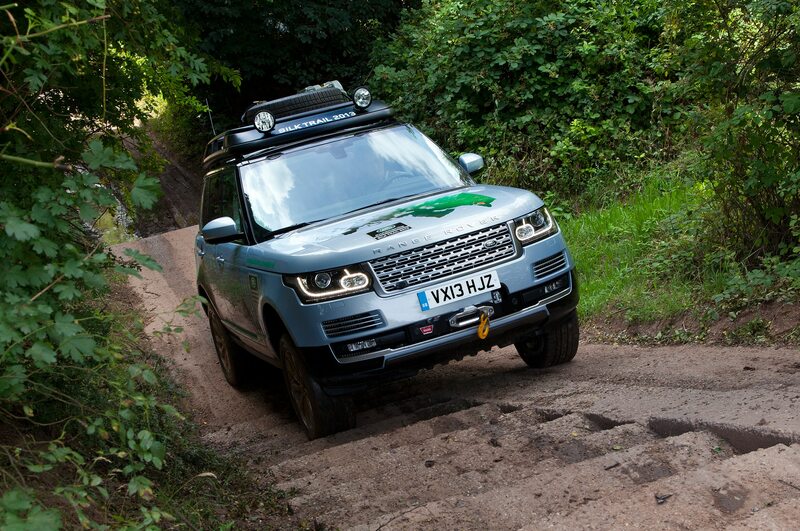 There are those almost unimaginably intrepid individuals who carved out these trails in the 19th century, and more recently, those who conquered them 100-odd years later at the dawn of the SUV era in a then-new luxury off-roader, the Range Rover. 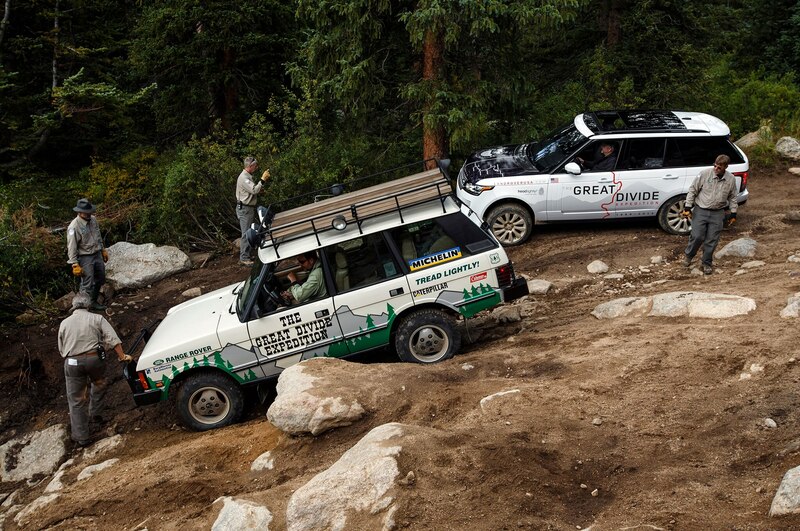 In 1989, the Great Divide Expedition helped launch Range Rover—now Land Rover—in North America. 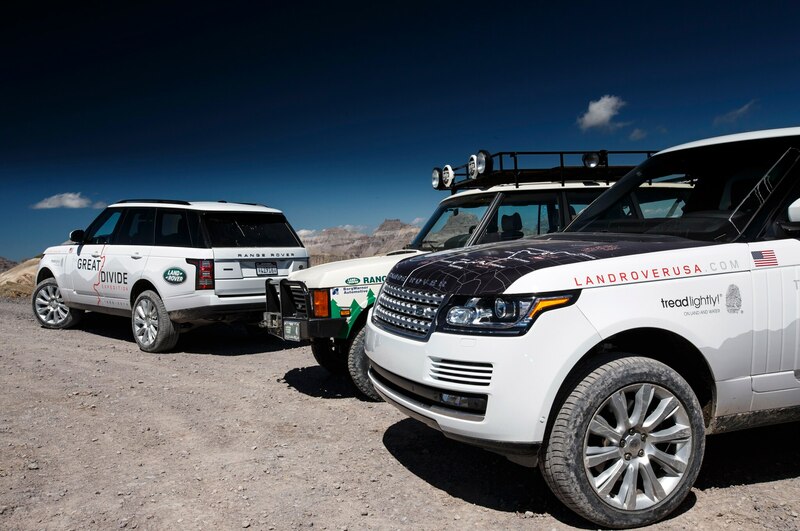 Since then, the company has literally gone to the ends of the Earth in search of adventures for its vehicles to tackle. 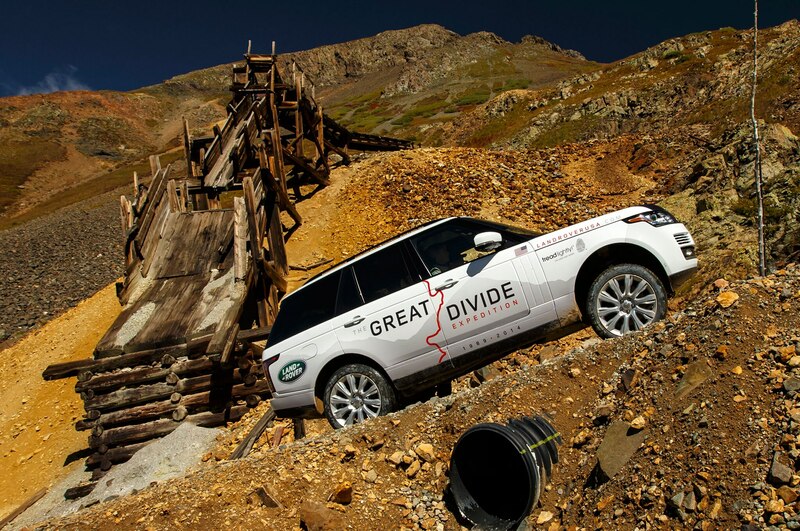 Now it returns to Colorado to rerun (much of) the Great Divide. 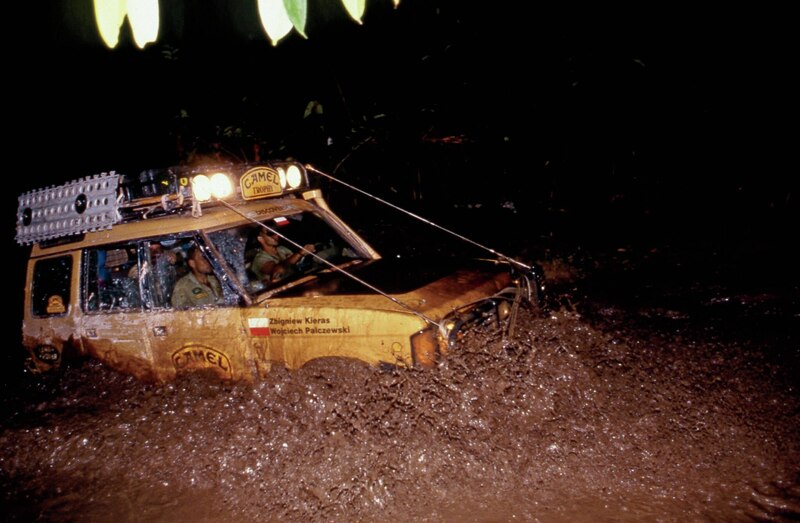 Automobile Magazine was there on that 1989 trip, one of many Land Rover adventures we would share with readers over the years (click here for a summary of them), and we eagerly accepted the opportunity to do it again. 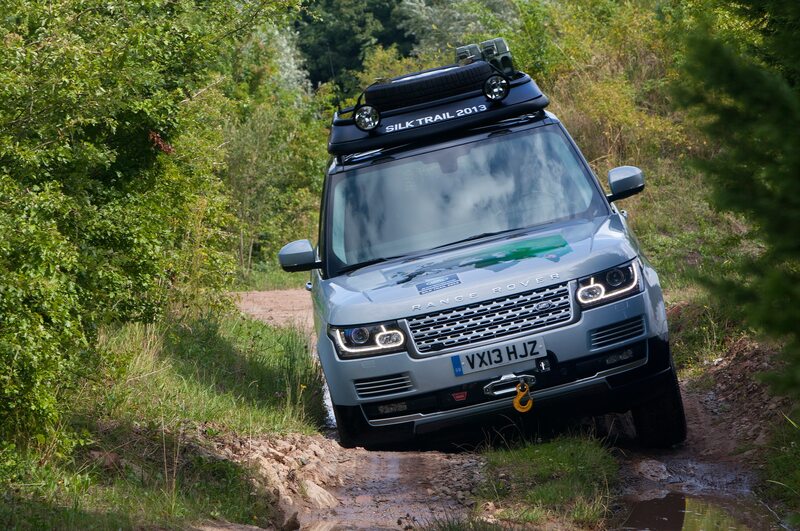 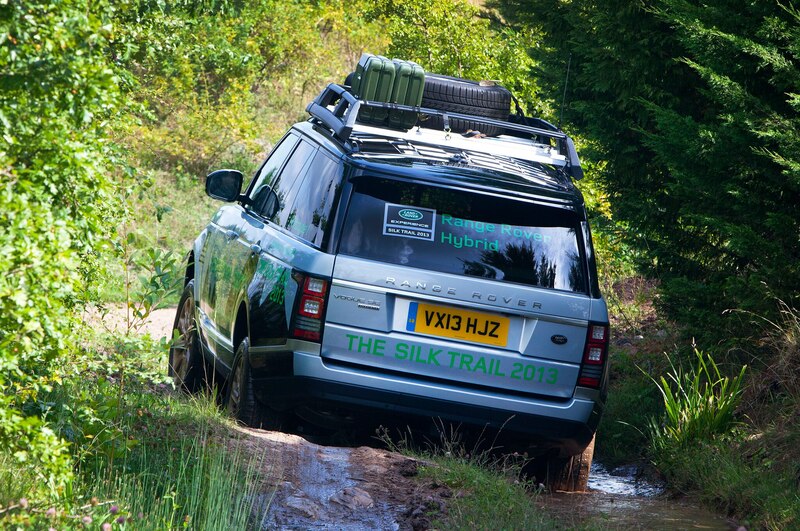 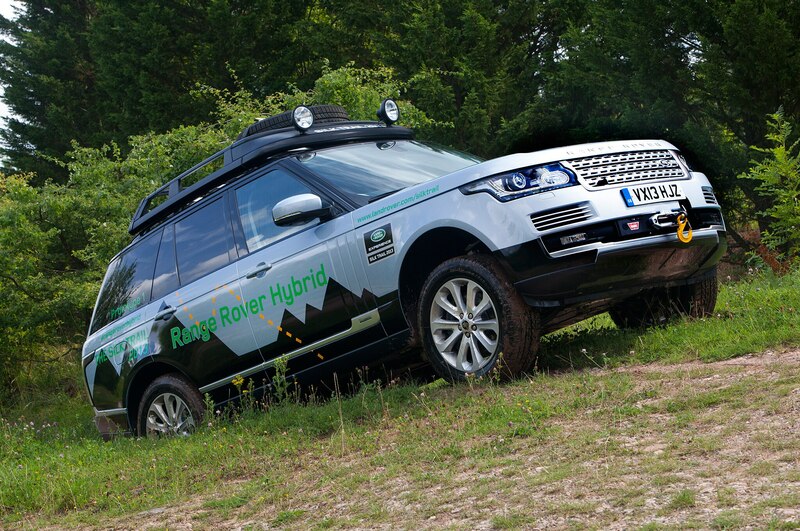 Then, as now, Range Rover demonstrated its vehicles’ Herculean off-road capability in spectacular style. 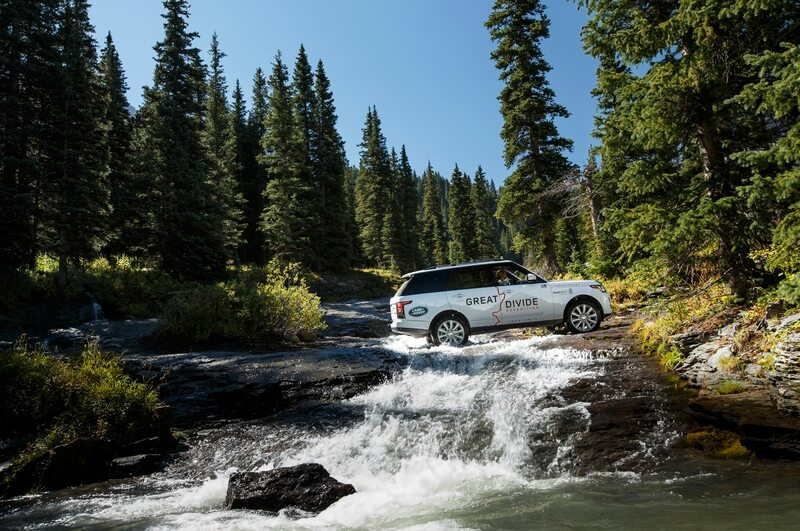 Certainly, the setting is spectacular. 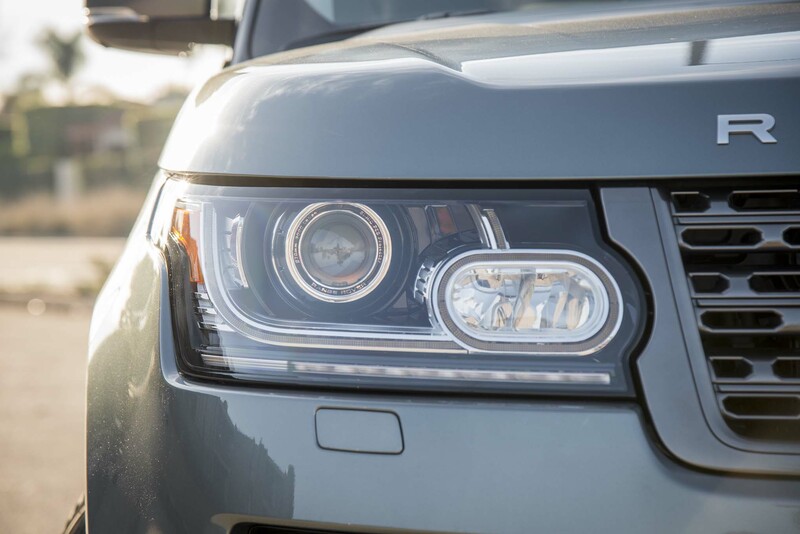 At the wheel of the Range Rover, nature’s majesty is all the more electric because we are the masters of it—which speaks to the way Americans interact with their environment. 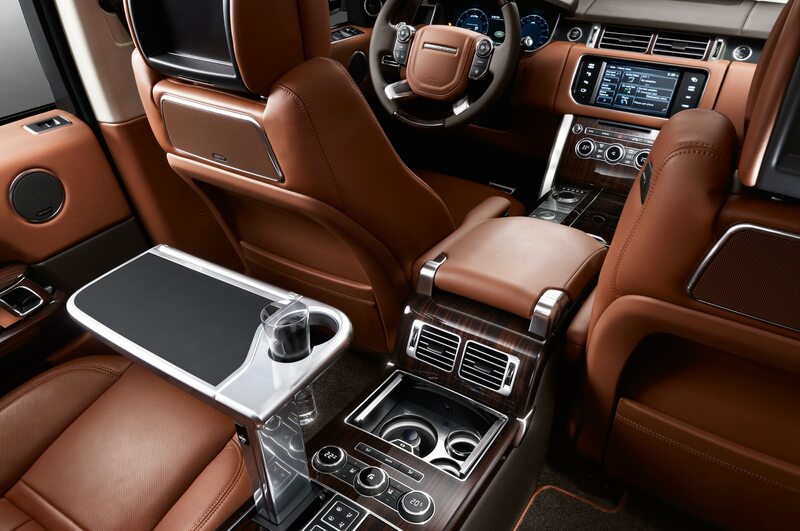 Mastering the environment need not mean degrading it, however. 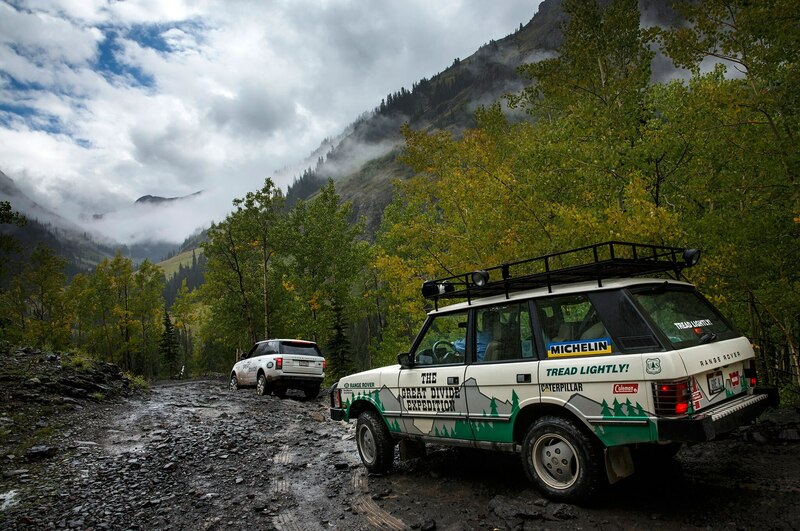 An important mission of the original Great Divide Expedition was to publicize the U.S. Forest Service’s Tread Lightly! 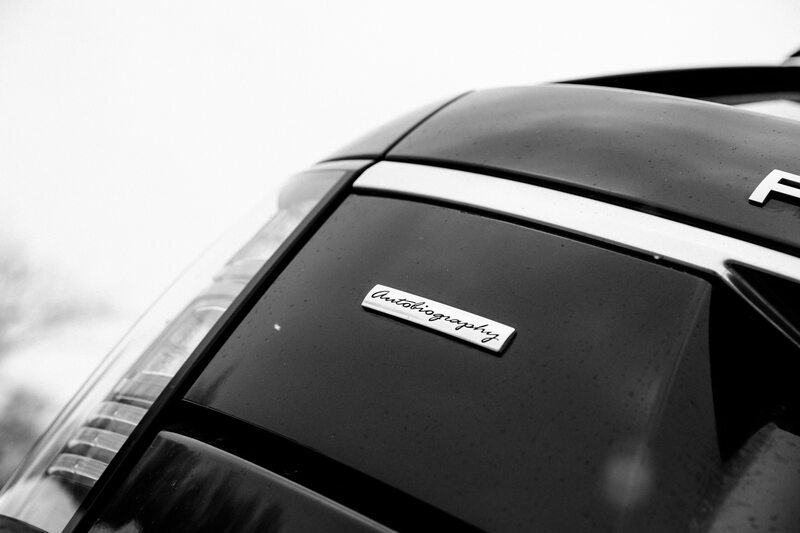 program (now an independent nonprofit foundation, treadlightly.org). 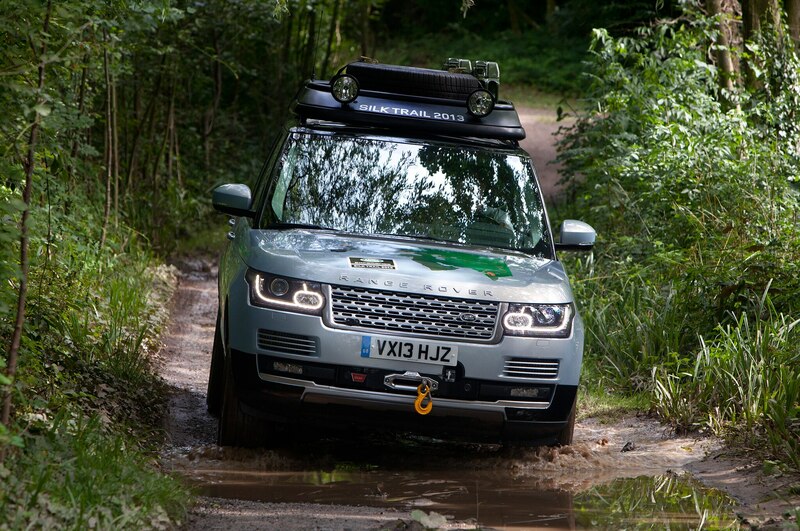 Land Rover North America continues to sponsor Tread Lightly!, which seeks to educate off-road drivers and other outdoor enthusiasts about the importance of respecting the natural environment. 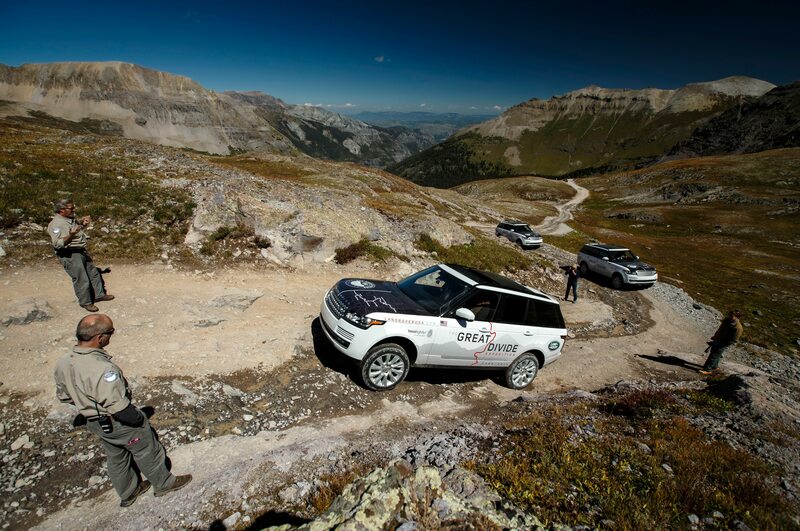 Trail masters: Tom Collins first (above left) floated the idea to drive along the Continental Divide. 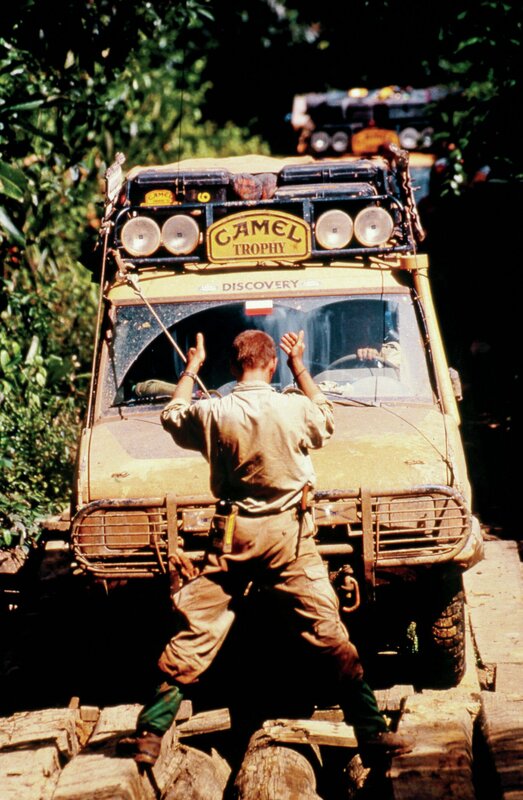 He led the 1989 trip—and still has the jacket. 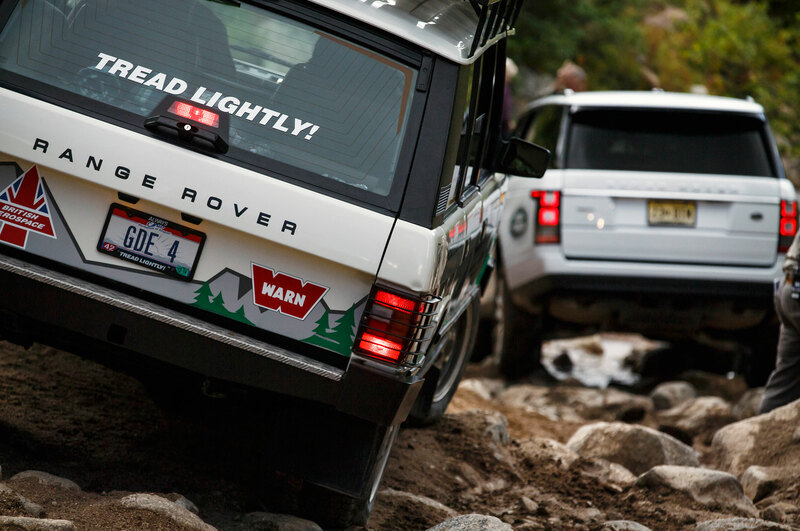 Instructor Daphne Greene (right) guides a driver through a tough section. 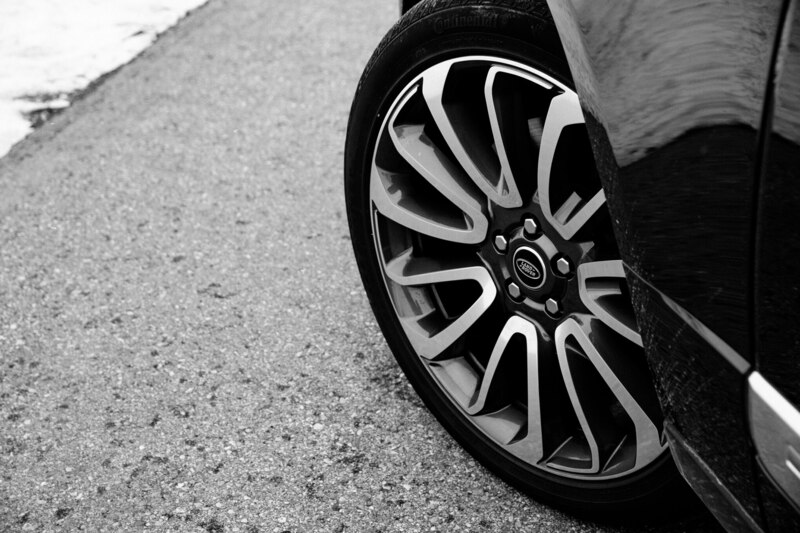 Precise tire placement is key. 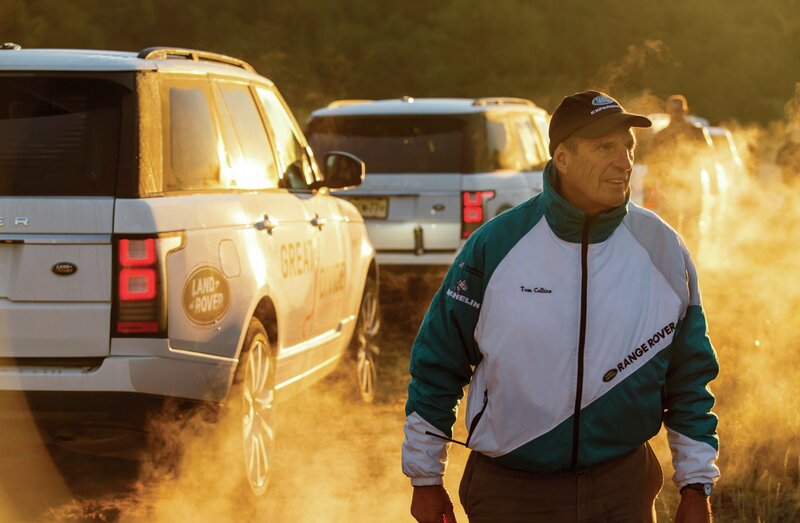 Respect for the environment comes naturally to Tom Collins, who is something more than the Great Divide Expedition leader. A lifelong off-roader who has lived in Colorado since his teens, Collins was part of the U.S. team that drove Range Rovers in the Camel Trophy off-road competitions in the late 1980s. 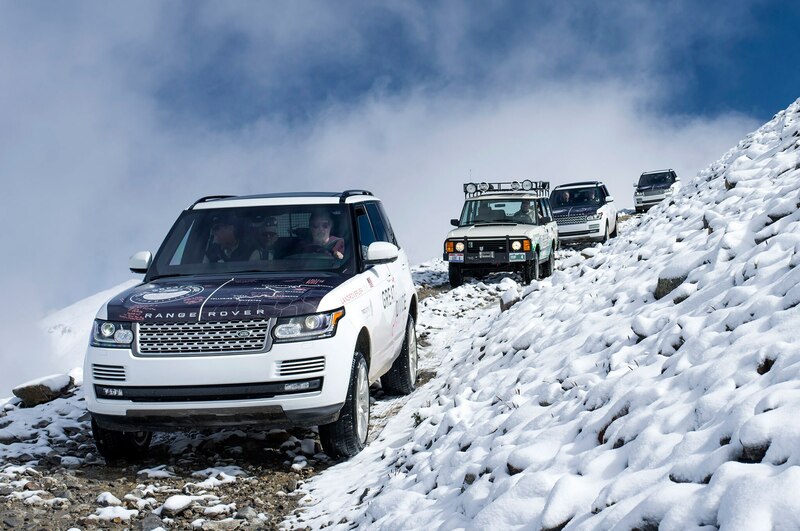 He is the one who originally proposed the idea of an off-road drive across Colorado to Range Rover North America PR boss Bill Baker. 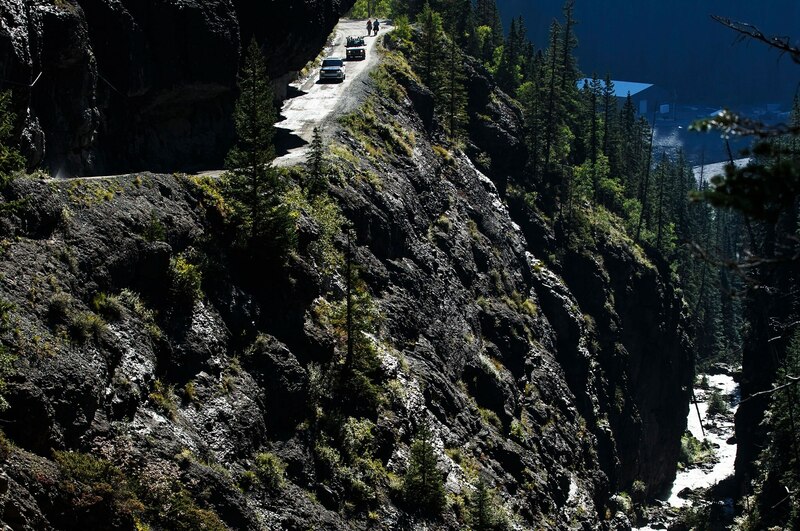 The route would follow the Continental Divide, the line that splits North America into the eastern and western watersheds. 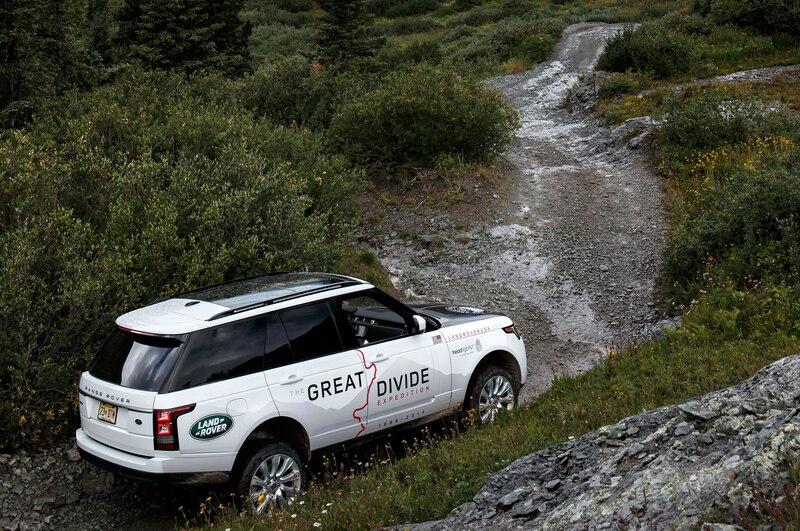 Baker saw it as the perfect opportunity to demonstrate the still-new Range Rover, and the Great Divide Expedition was born. 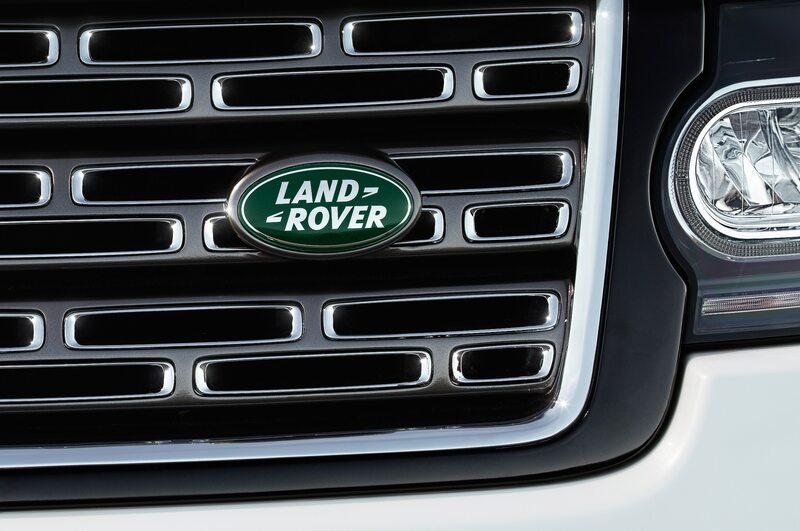 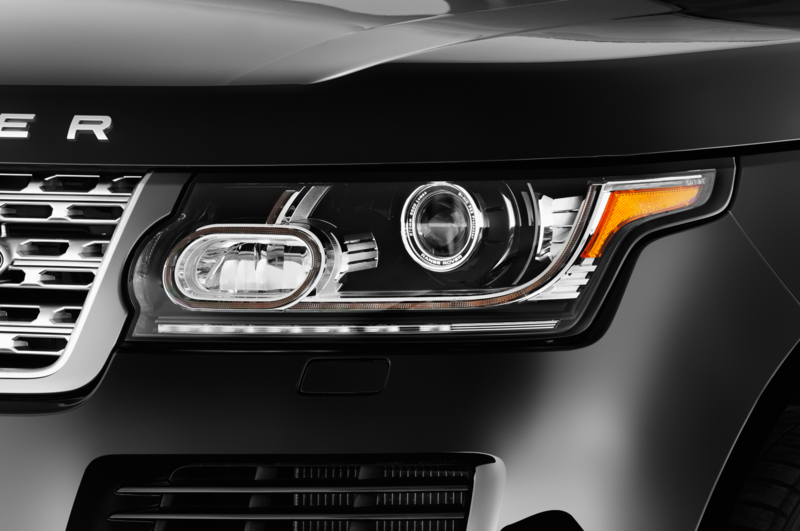 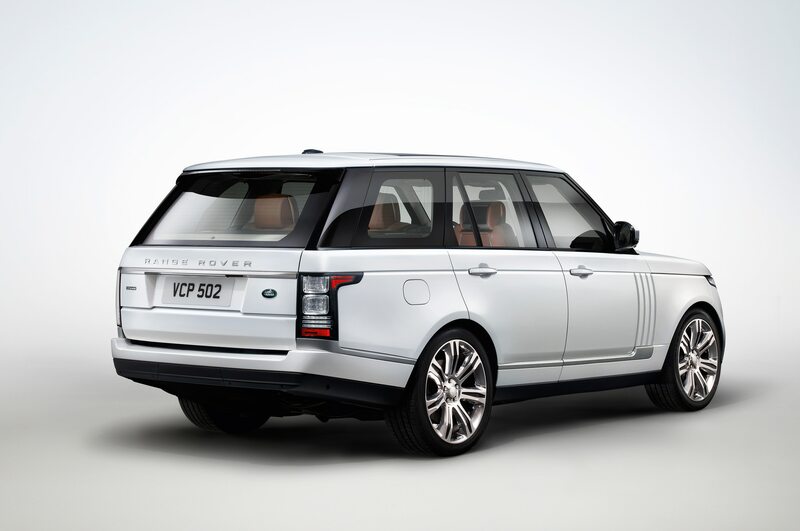 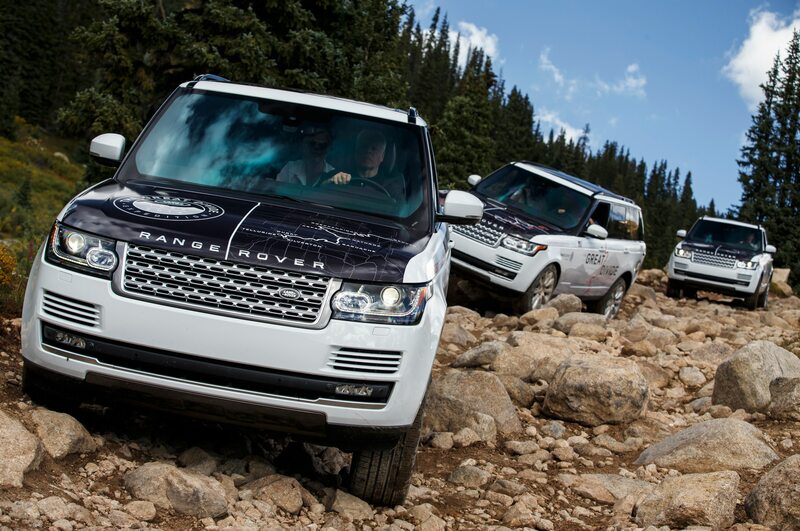 “It was a milestone for the brand,” says Land Rover VP Kim McCullough. 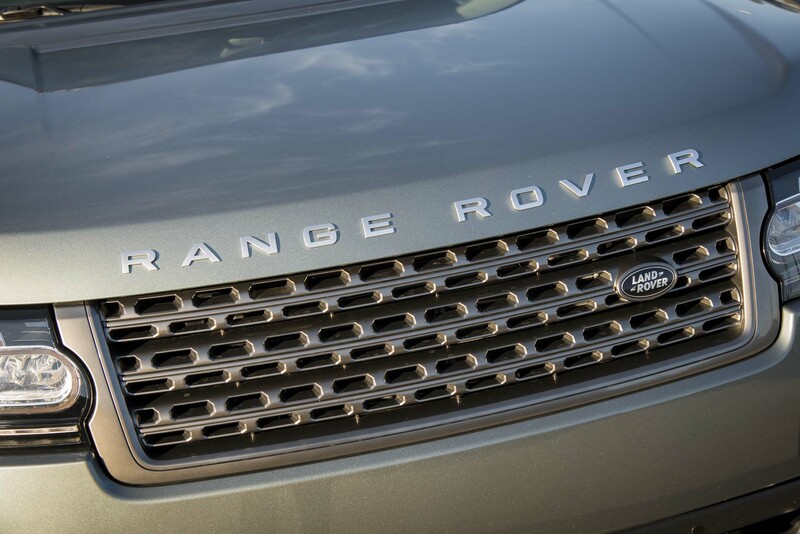 “It was something that stuck with people.” It certainly stuck with Ian McKiernan, whose family bought a new Range Rover in 1990. 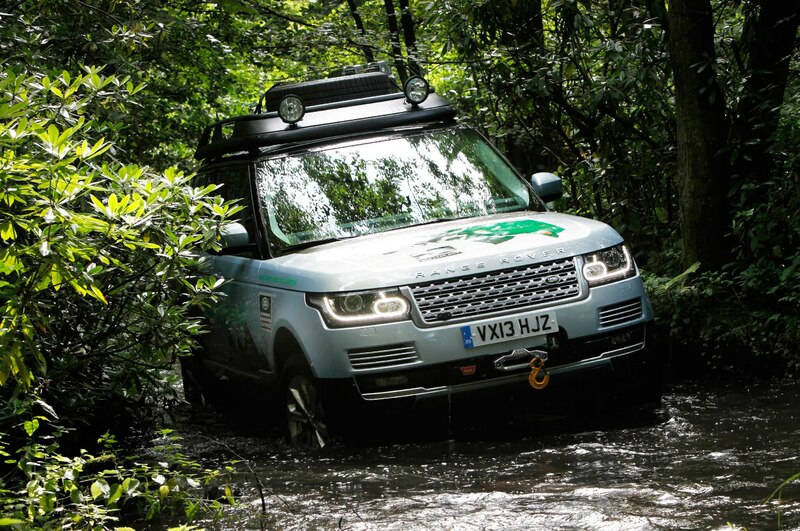 “It came with a video of the original Great Divide,” he remembers, “so I always wan-ted to do it.” Ian is one of 12 Land Rover owners who have joined the trip. 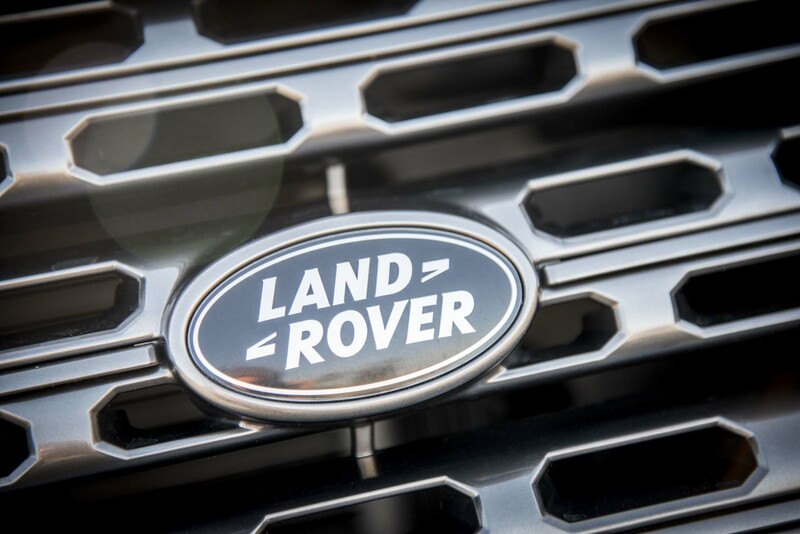 “I expected Land Rover to go all out,” he says, “but this has exceeded my expectations.” He has already signed on for the next Land Rover Adventure, in Moab, Utah. 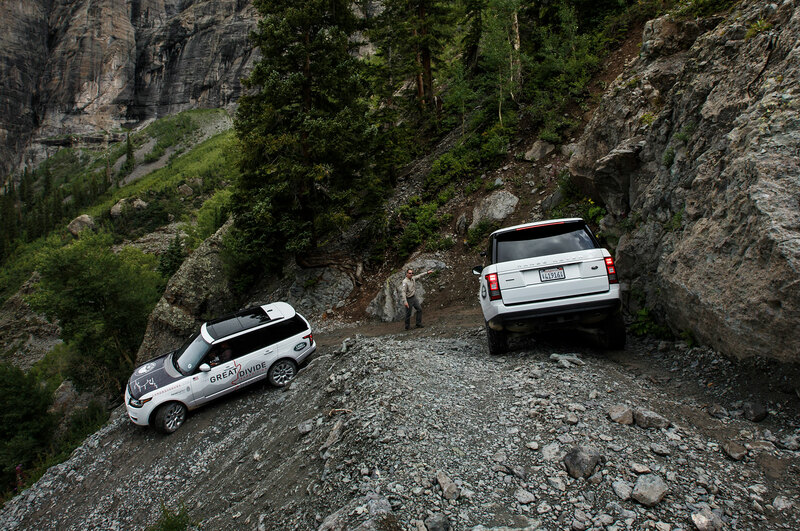 So Colorado: The town of Telluride sits at the bottom of Black Bear Pass. 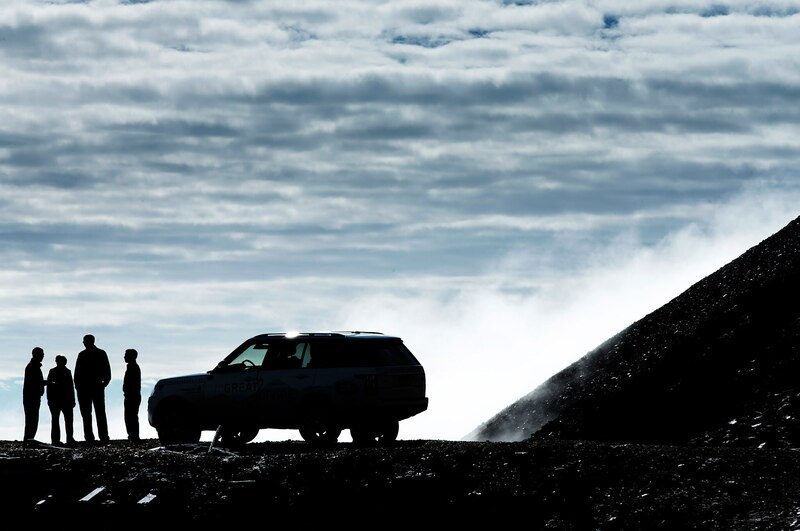 The area’s mining past was much in evidence. 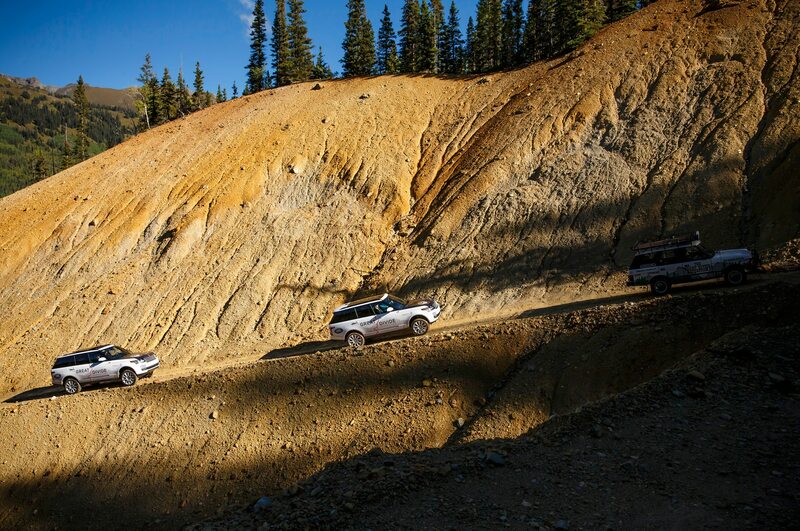 Mosquito Pass is the highest through-road in North America. 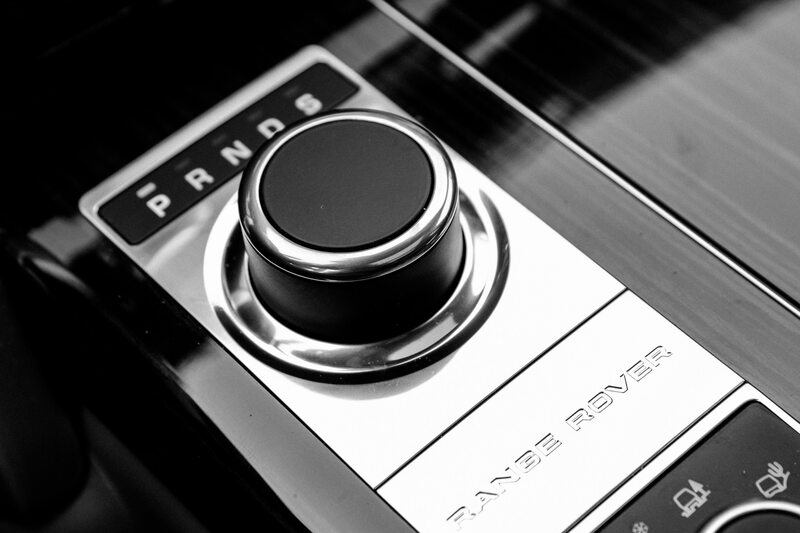 At the wheel of the Range Rover, nature’s majesty is all the more electric because we are the masters of it. 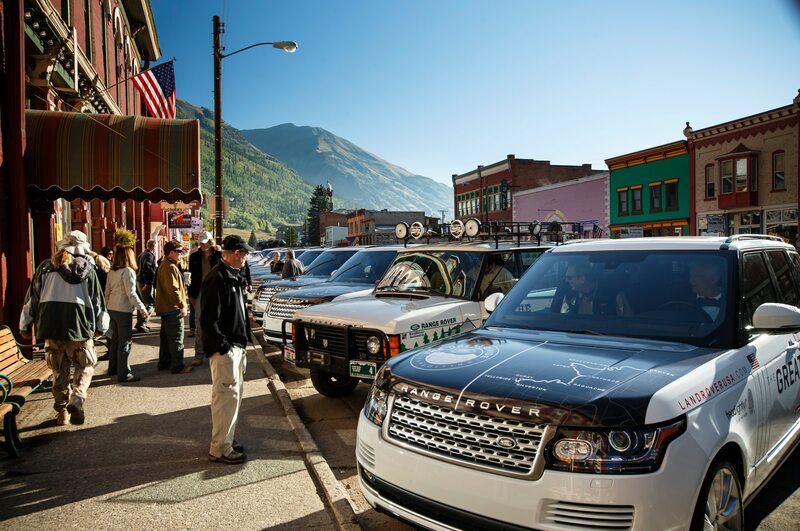 “I think it’s the best travel money we’ve ever spent,” says June-Ellen Mark, looking at her husband, Bob. 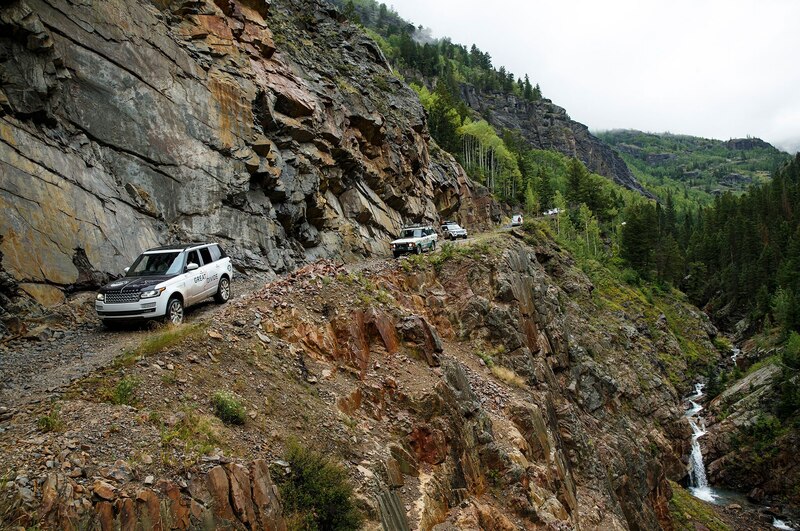 “It’s remarkable that we get to participate.” Although the Marks hail from St. Louis, they’ve been coming to these mountains for years; they even got engaged here. 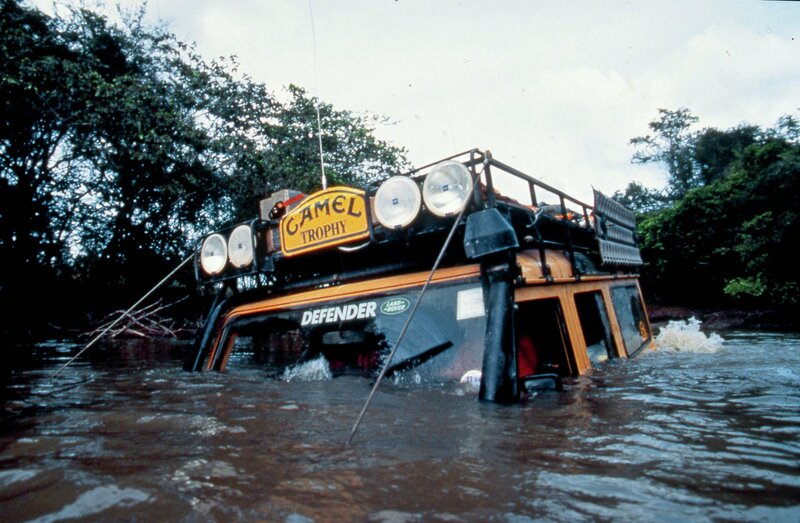 Bob remembers driving Taylor Pass in a rented ’87 GMC Jimmy. 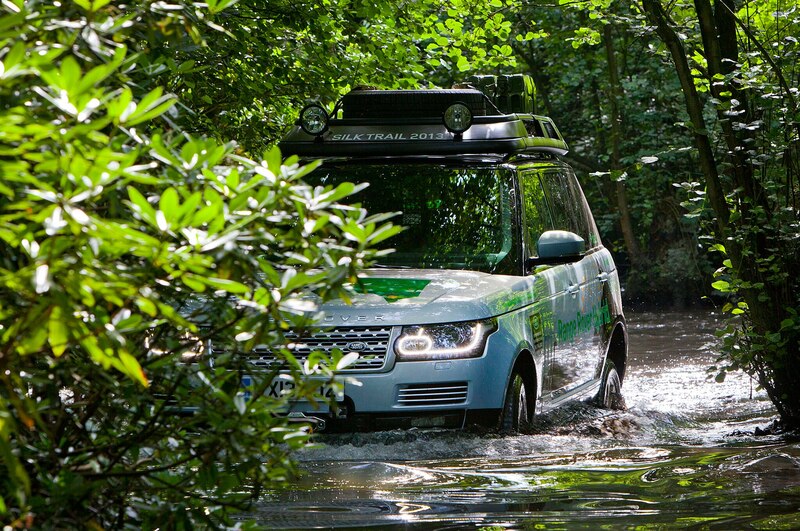 This is very much the deep end of off-roading. 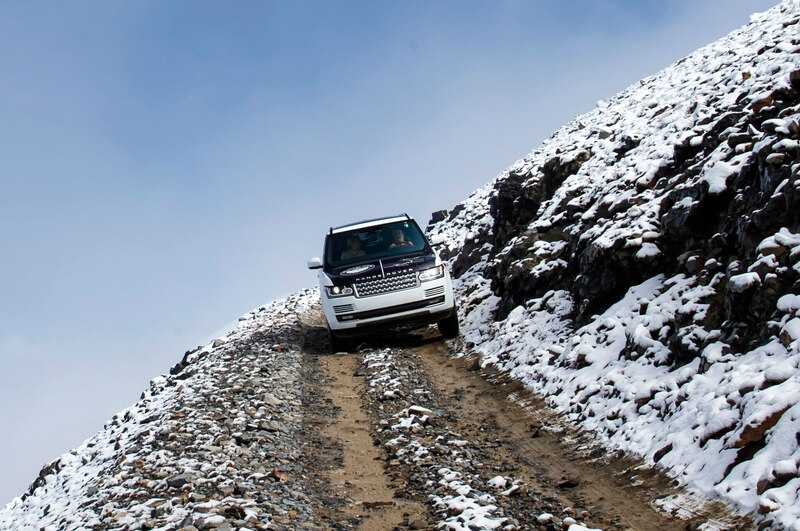 A Land Rover driving instructor rides in each vehicle, and their expert spotting is essential for precise tire placement in the roughest sections, such as Taylor Pass. 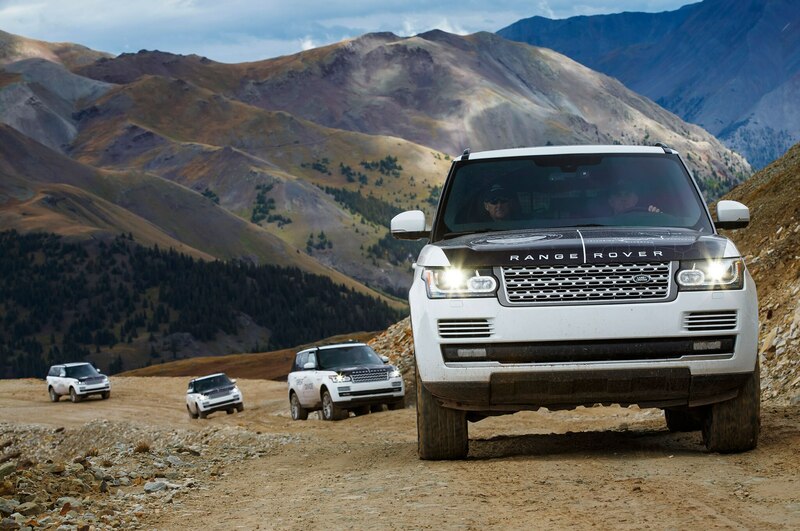 Out on the trails, we encounter ATVs, side-by-sides, dirt bikes, lifted Jeep Wranglers, and the odd Toyota Pickup, but nothing like these Range Rovers, which except for their Great Divide livery look like they should be rolling up to a pricey boutique rather than clambering over rocks. 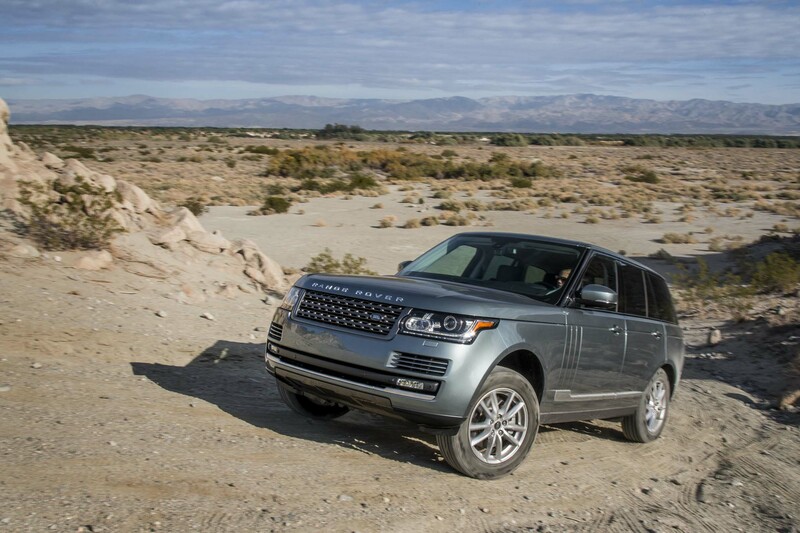 Although there are interludes of paved and dirt roads, we spend much of our time slowly picking our way up and down trails that are often no more than piles of boulders. 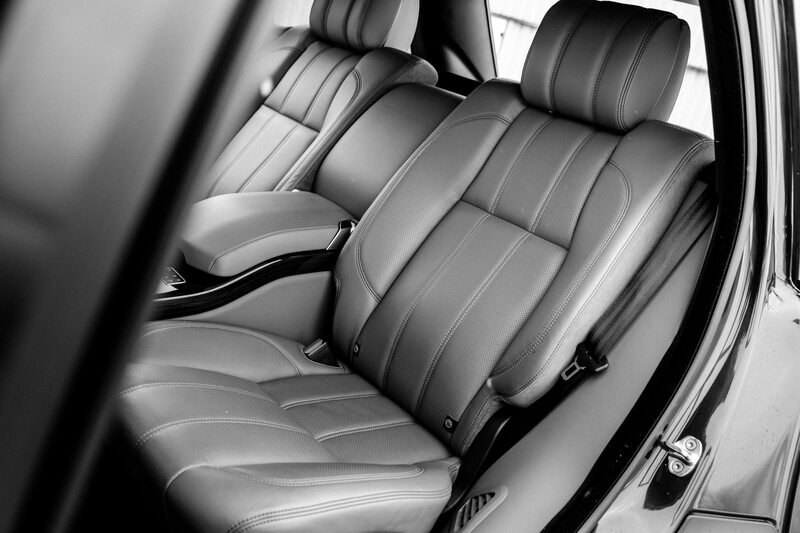 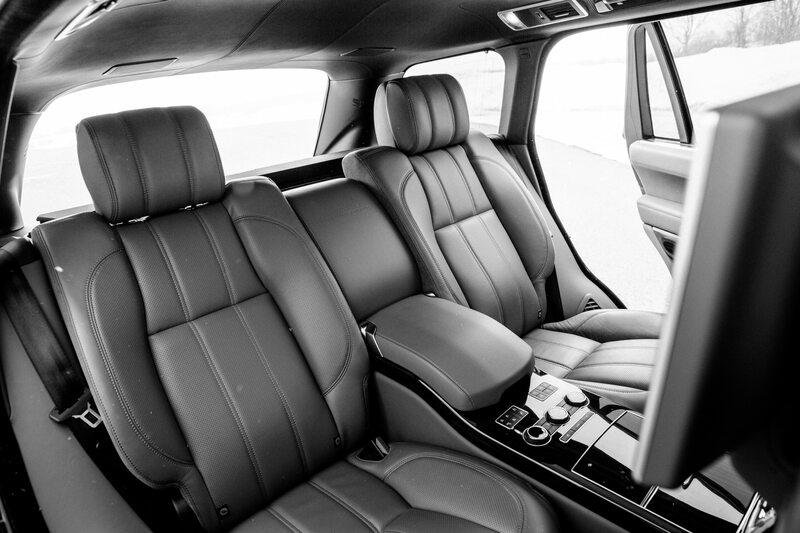 After a 10- or an 11-hour day of it, you drift off to sleep still feeling the back and forth rocking motion of the car, as if you’d been out on a boat. 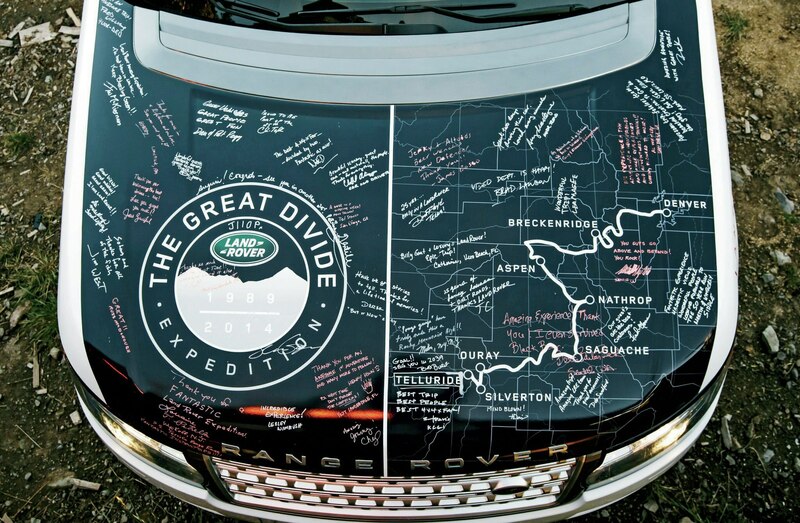 Sign in: The hood of each Range Rover displayed a map of the Great Divide Expedition route. 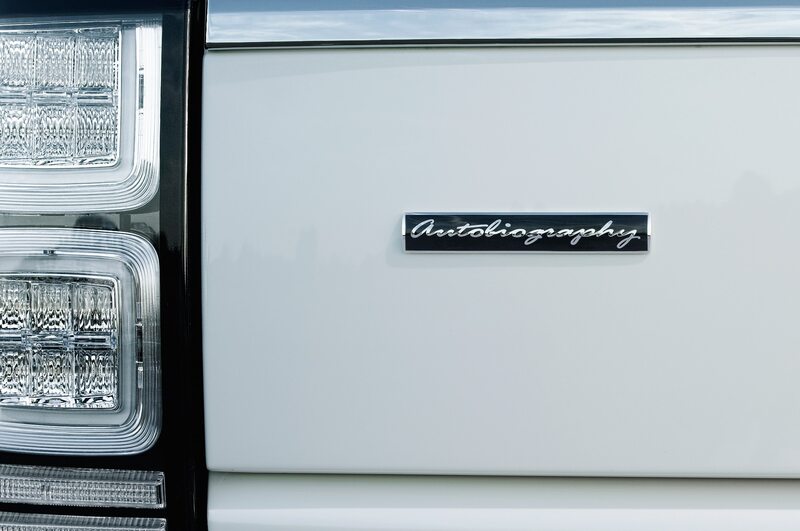 This particular hood was also autographed by all the participants on the trip. 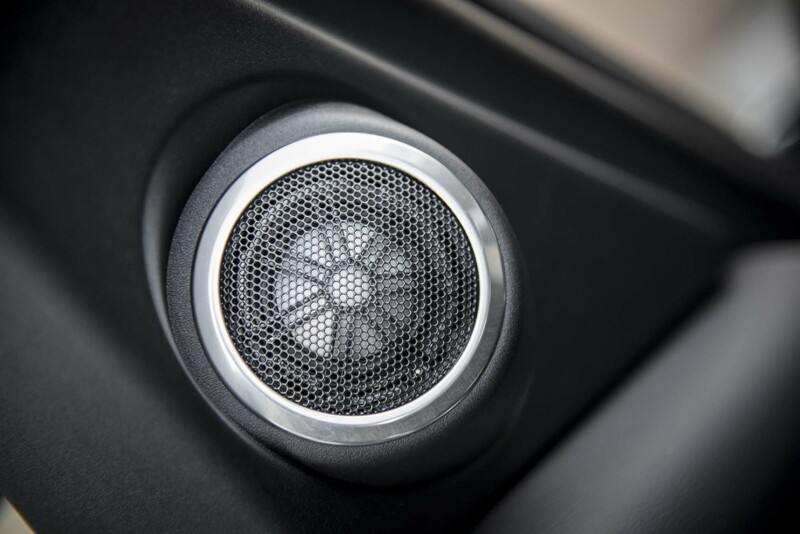 Tidbits of area history, delivered via walkie-talkie, punctuate our drive. 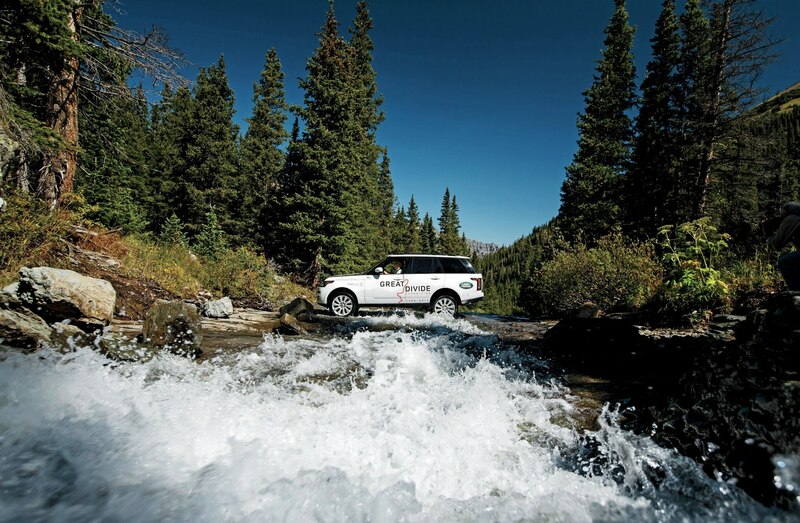 They’re courtesy of Collins, one of several instructors who is a veteran of the original Great Divide. 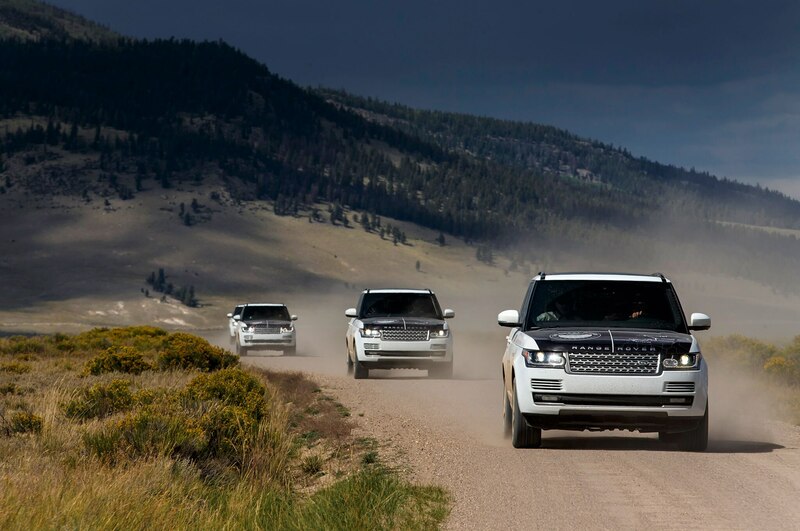 On that trip, participants drove 1990 model Range Rovers. 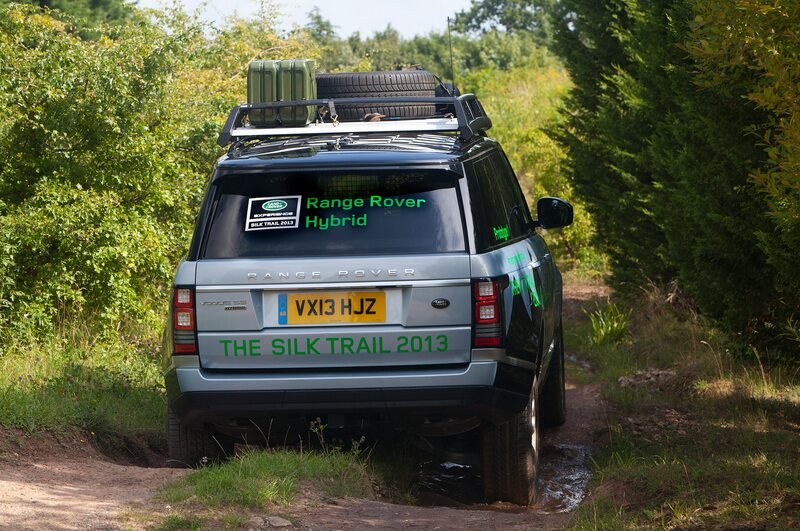 With us this time is one of those original Great Divide Range Rovers. 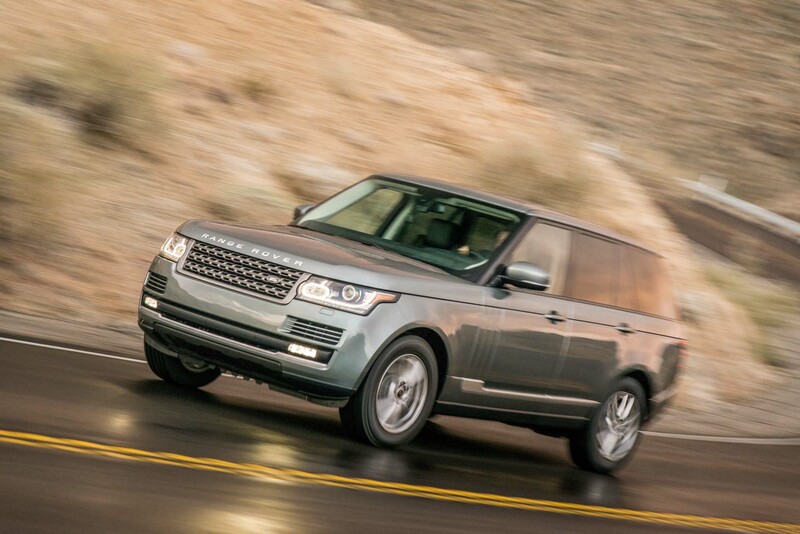 It’s owned by Land Rover dealership master tech Rick Allen (who also has a ’95 Range Rover). 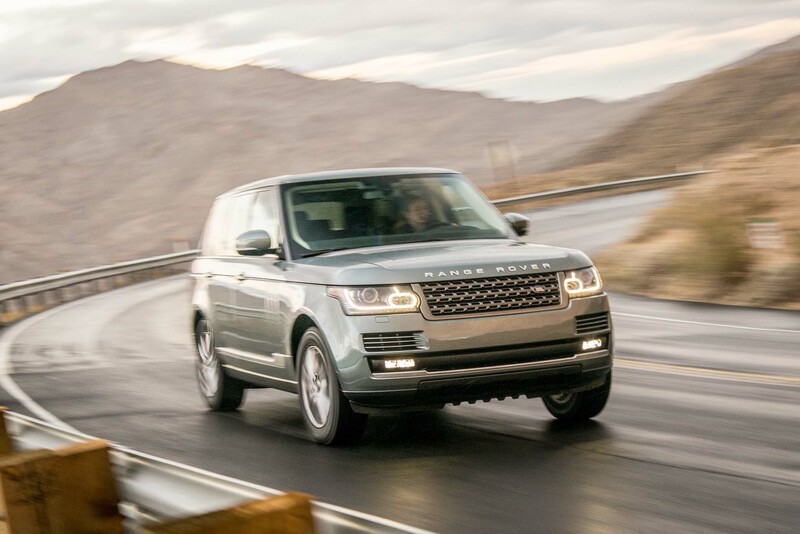 We ride with him on the ascent to 12,800-foot Engineer Pass, and the vintage Rover charms with its ultra-low beltline and huge windows; its extreme wheel articulation is a marvel. 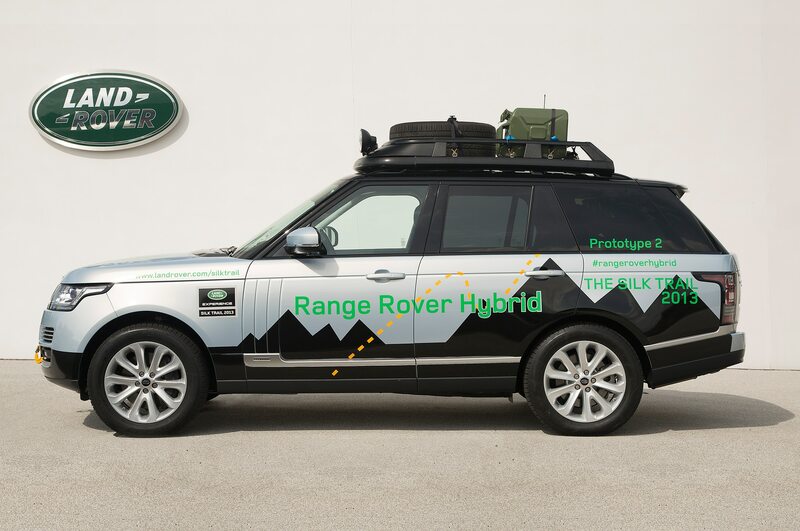 Allen has owned the classic Rover for more than 10 years and says it’s largely unrestored (the graphics have been redone) with 91,500 miles. 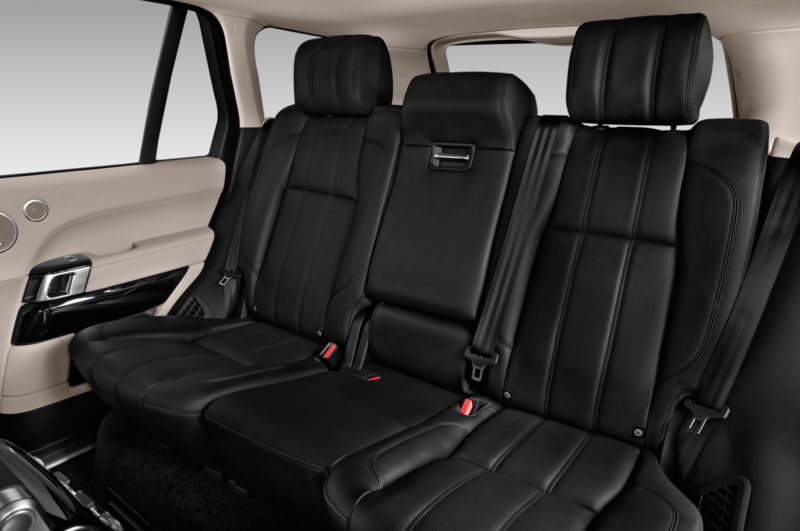 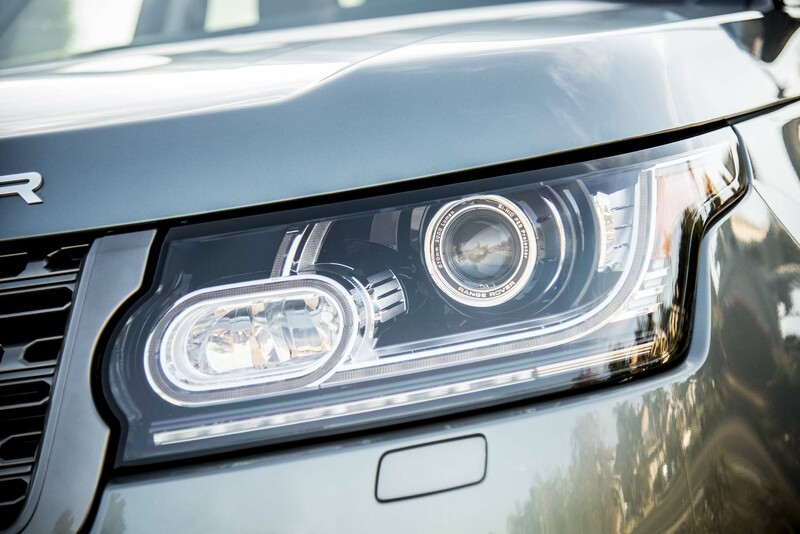 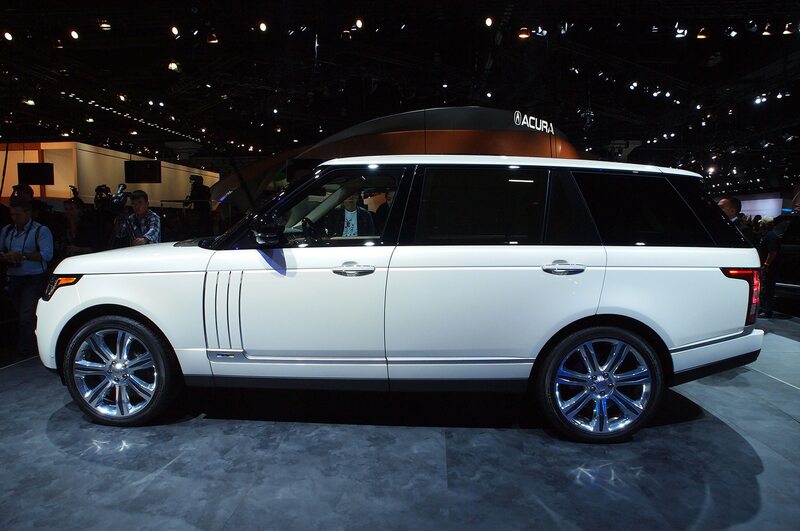 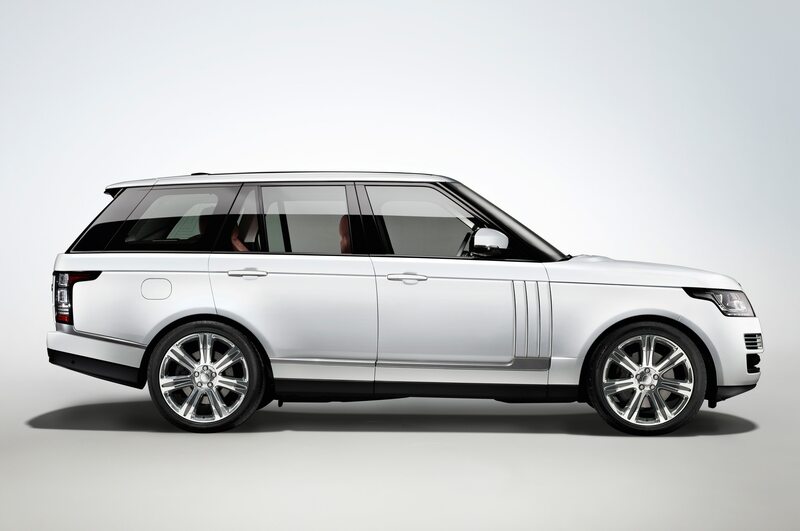 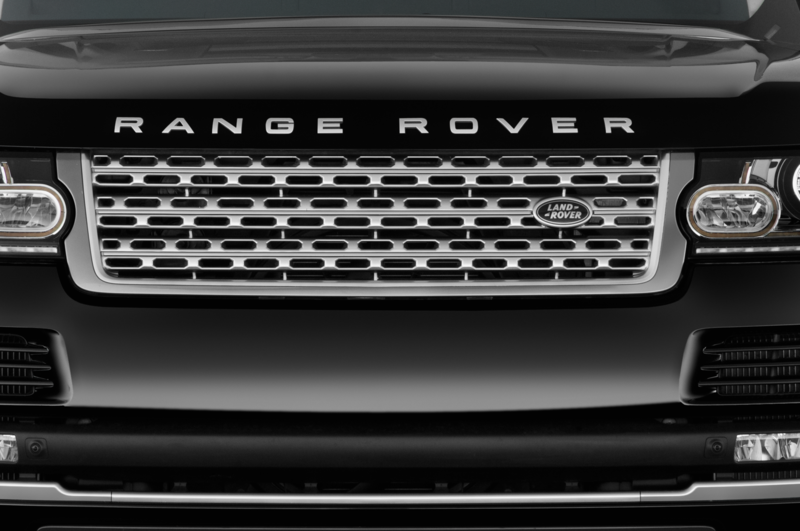 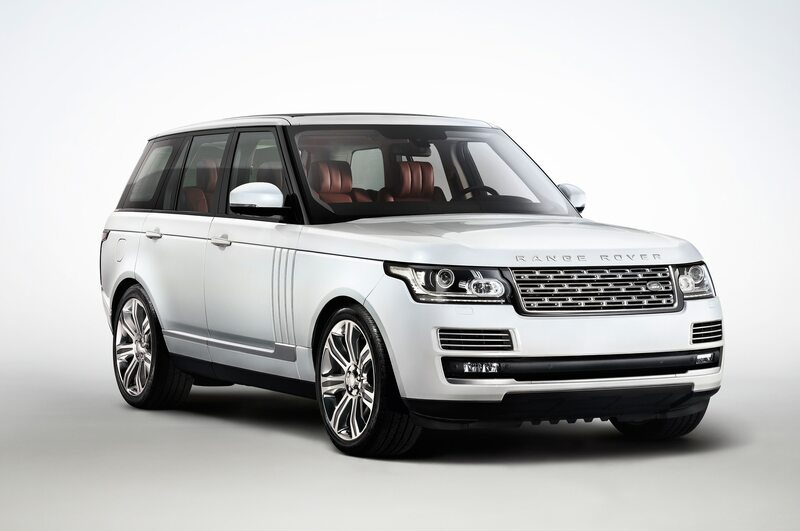 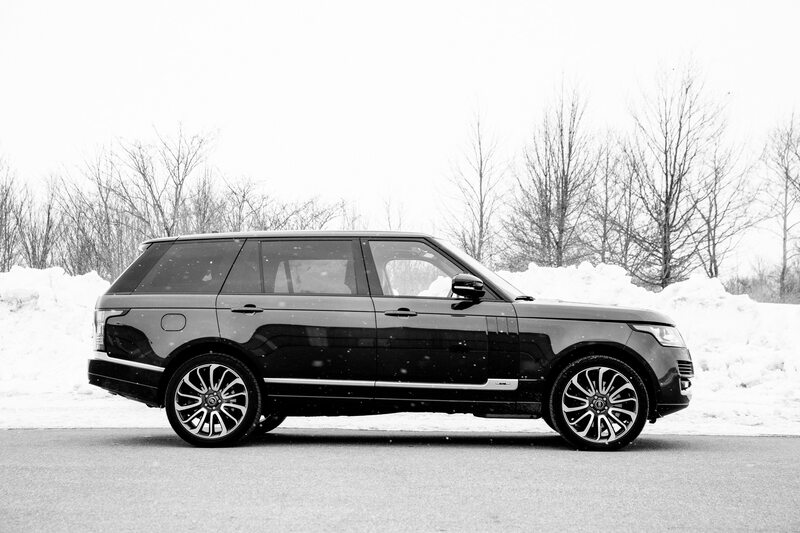 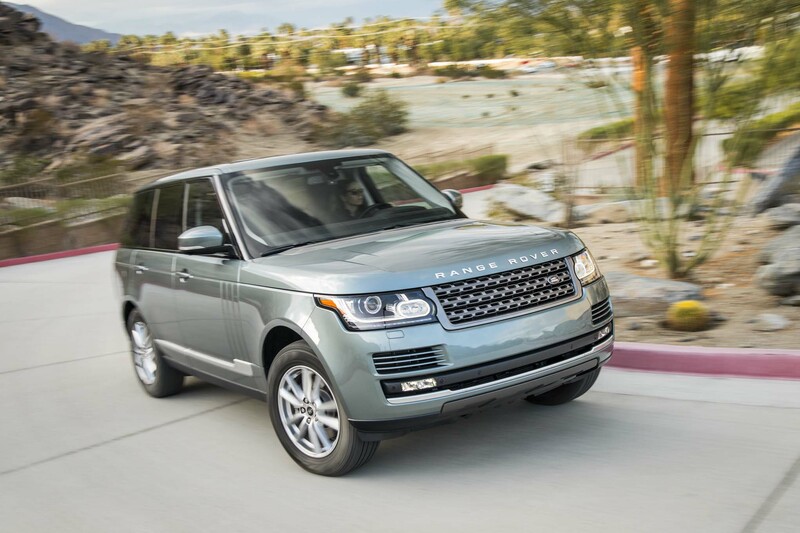 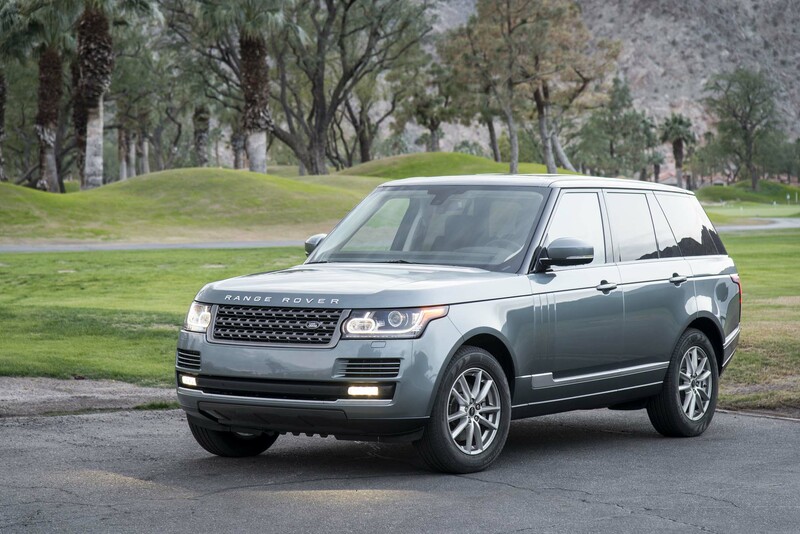 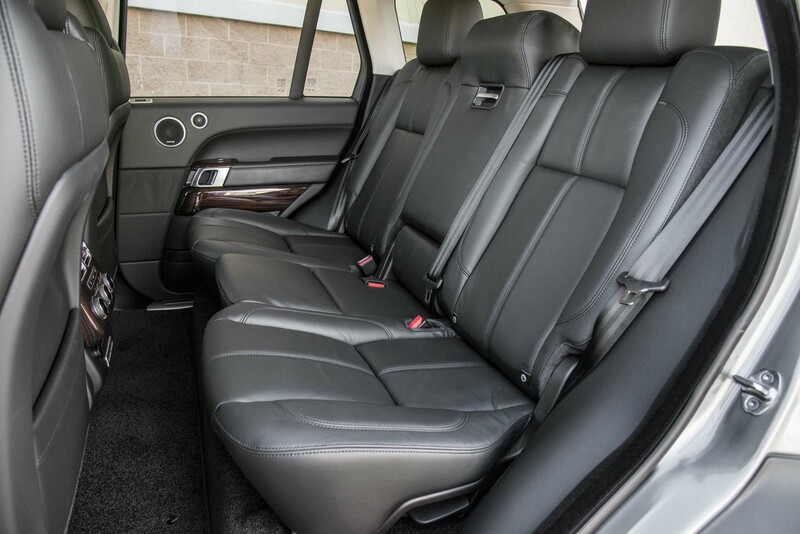 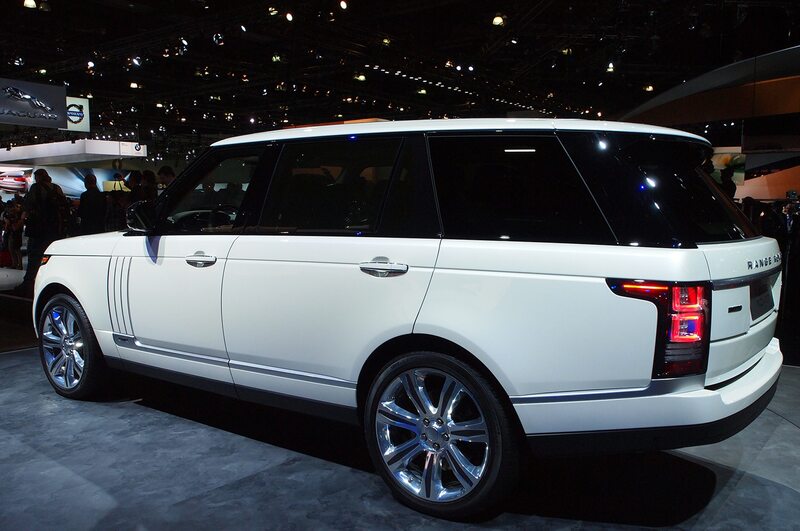 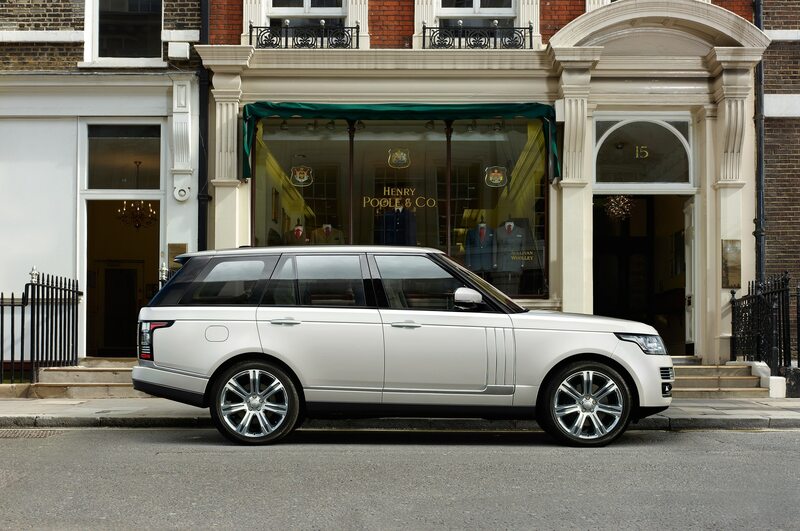 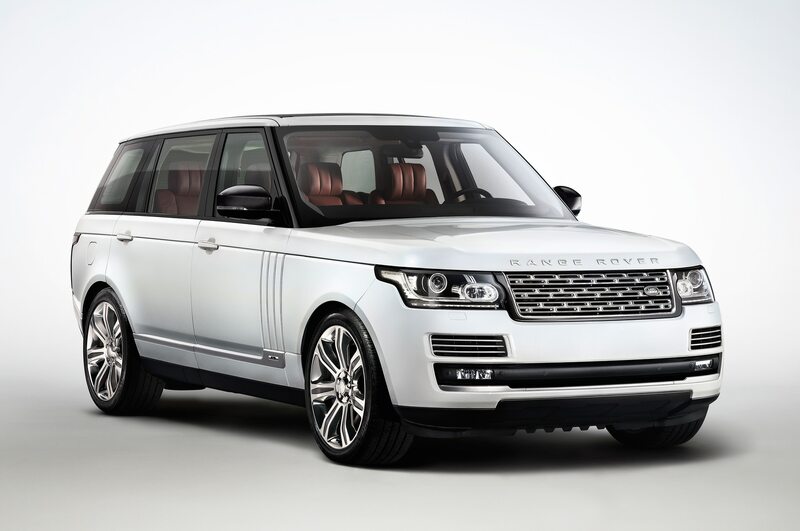 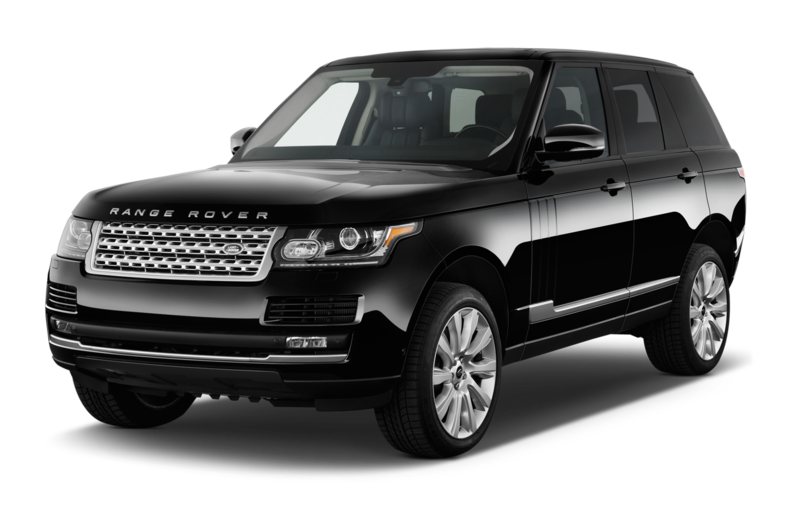 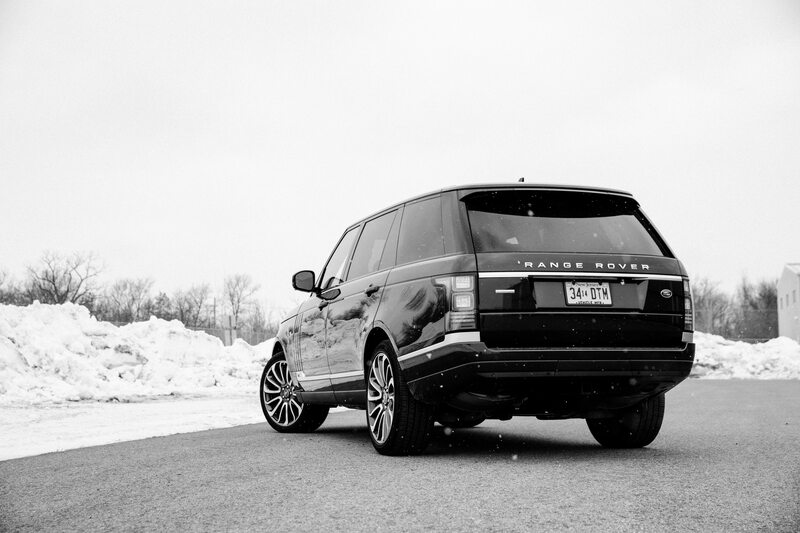 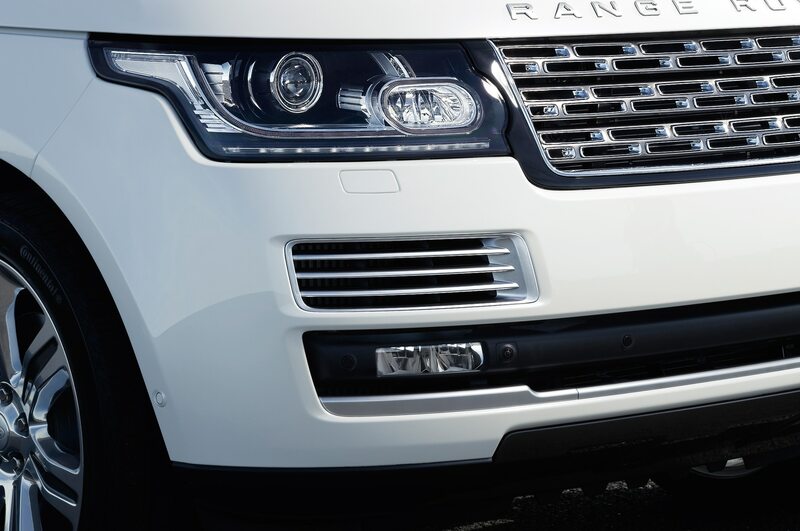 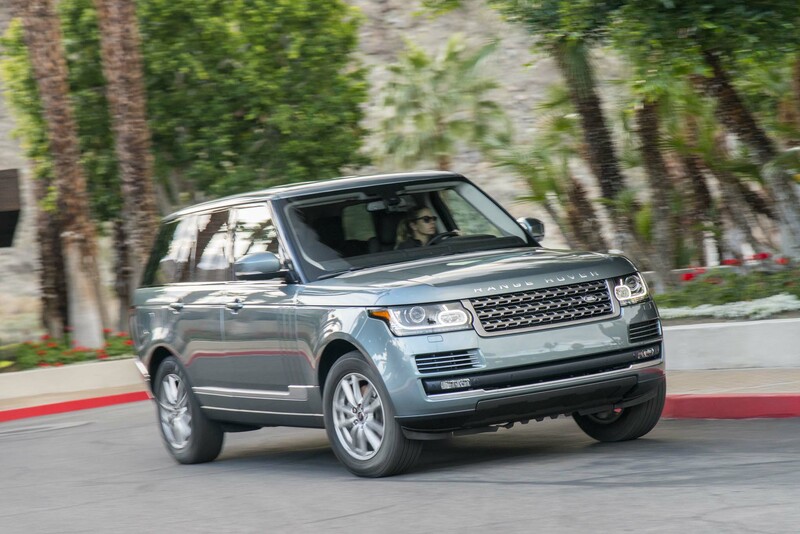 The rest of us are driving the 2014 Land Rover Range Rover Supercharged. 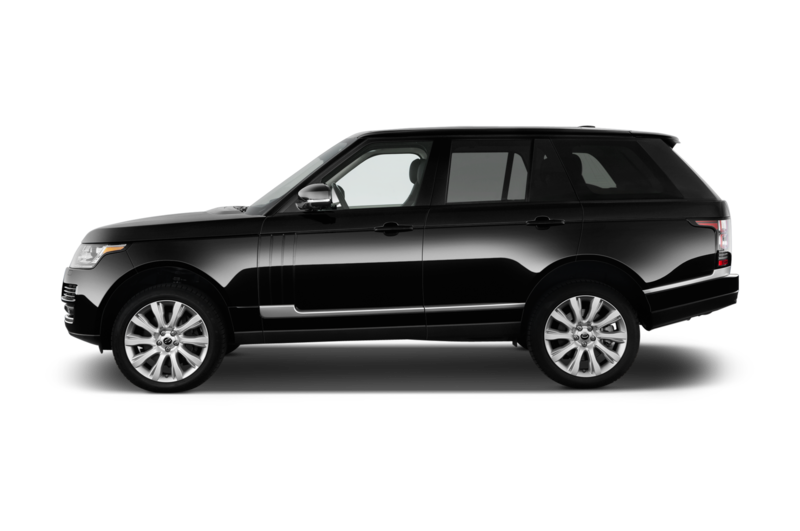 Now in its fourth generation, it’s amazing how much the Range Rover has evolved, and at the same time, how little it has changed. 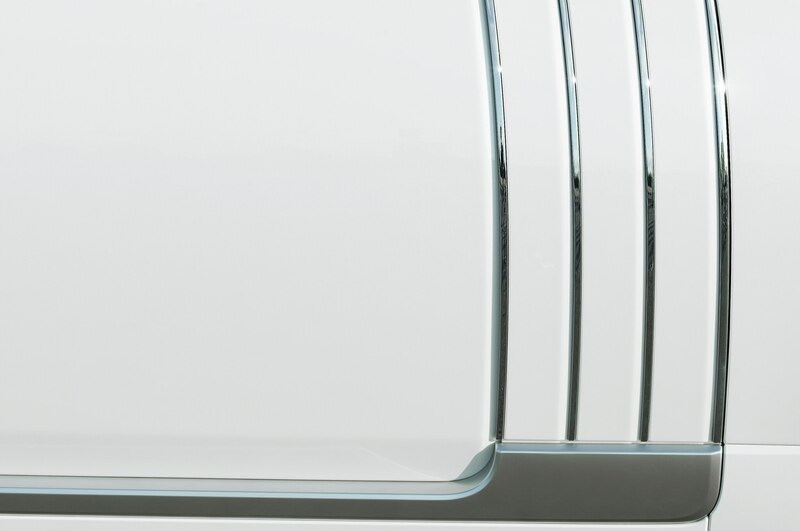 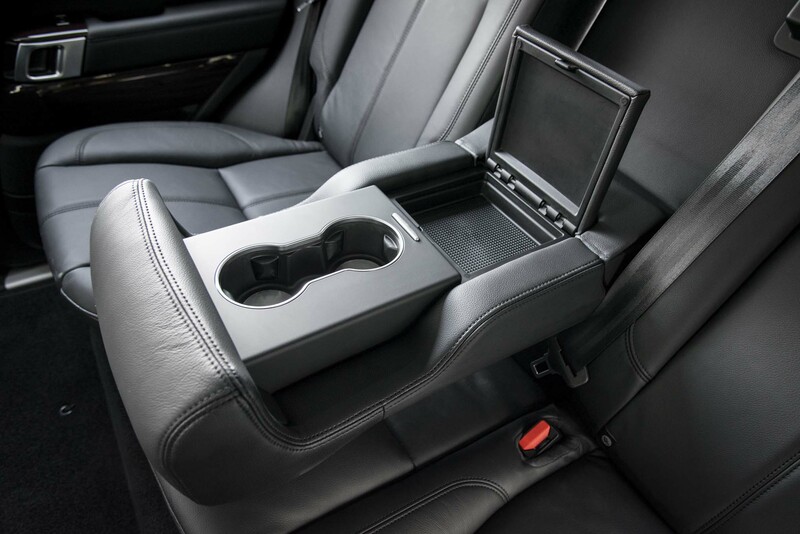 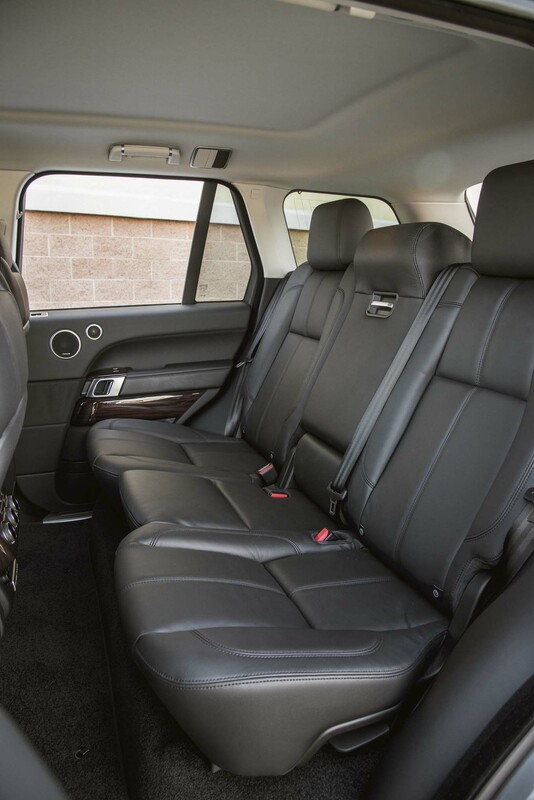 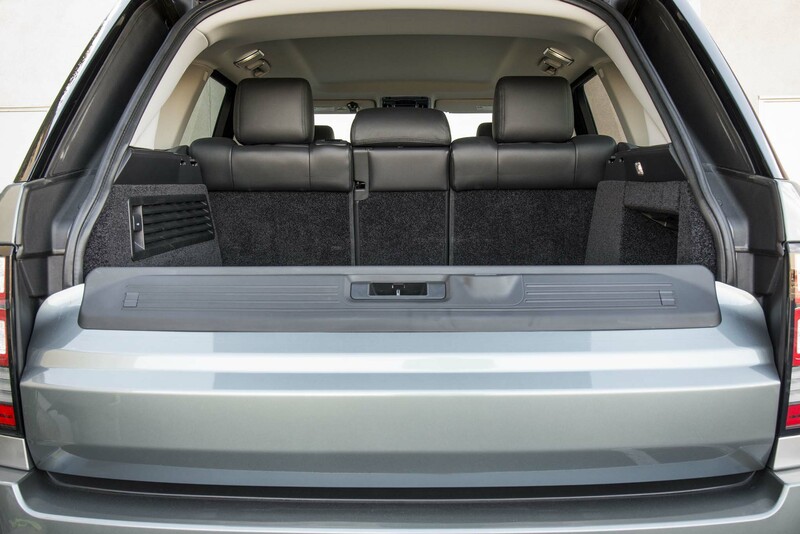 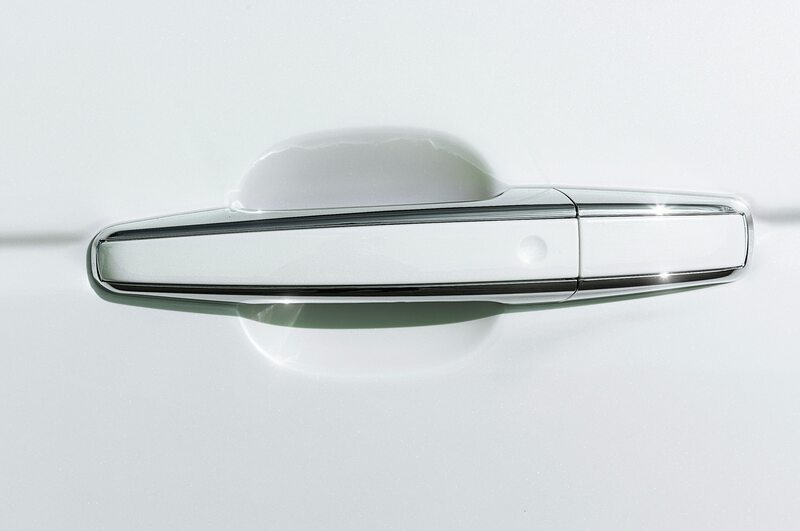 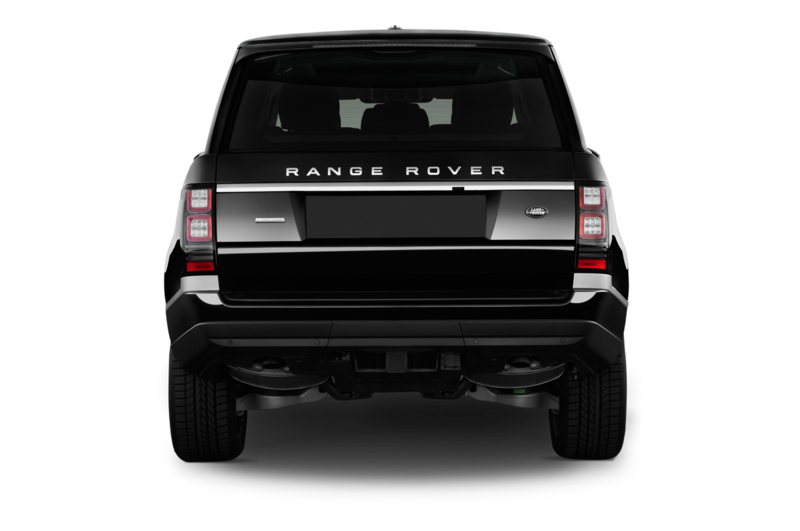 The vehicle is nearly 21 inches longer; its wheelbase has grown by 15 inches; and yet the overall proportions and key design elements have been preserved. 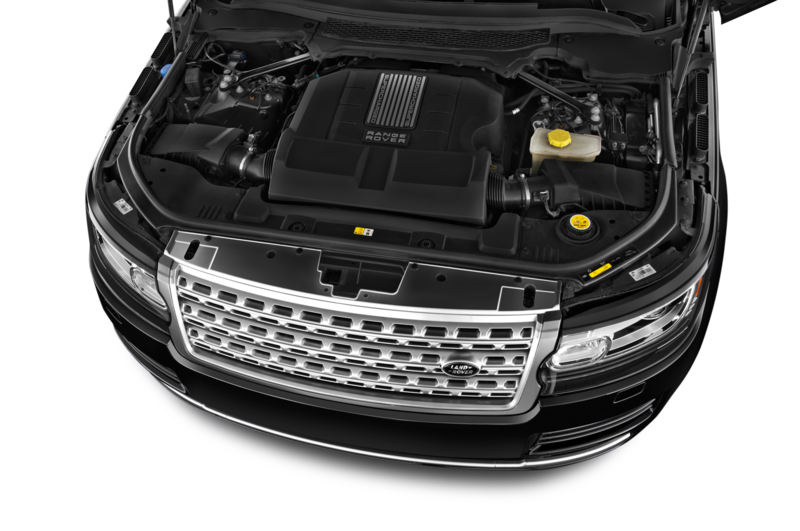 Weight has climbed by some 700 pounds, but that has been more than offset by the engine output, which has soared from 178 hp, from a 3.9-liter V-8, to 340 hp in the standard supercharged V-6 and 510 hp in the supercharged V-8 we’re driving. 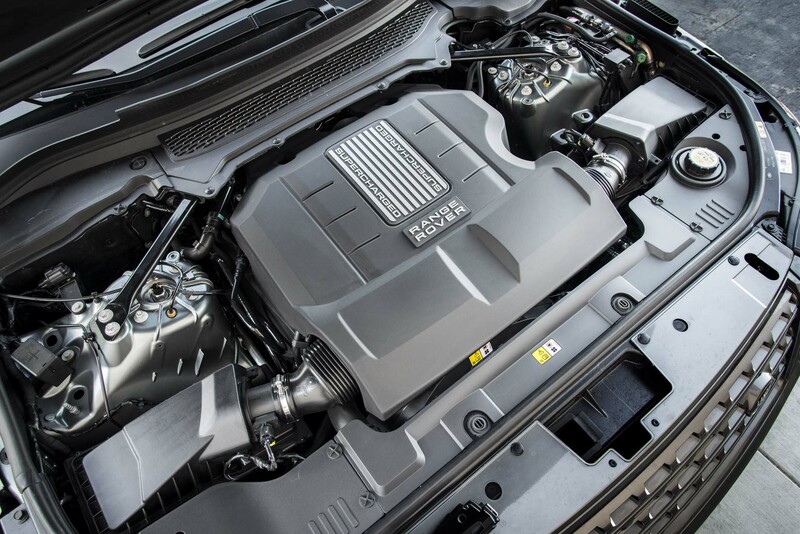 Four-wheel drive and low range remain, of course, but the transmission’s number of forward ratios has doubled from four to eight. 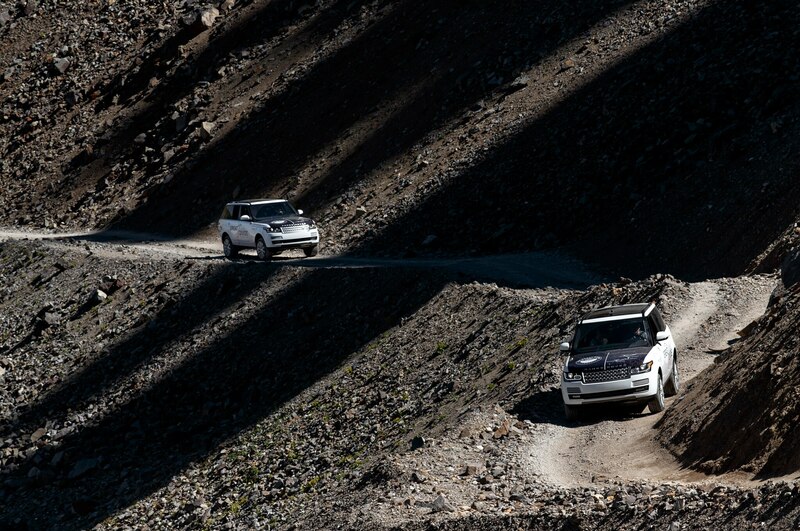 We spend much of our time picking our way up and down trails that are often no more than piles of boulders. 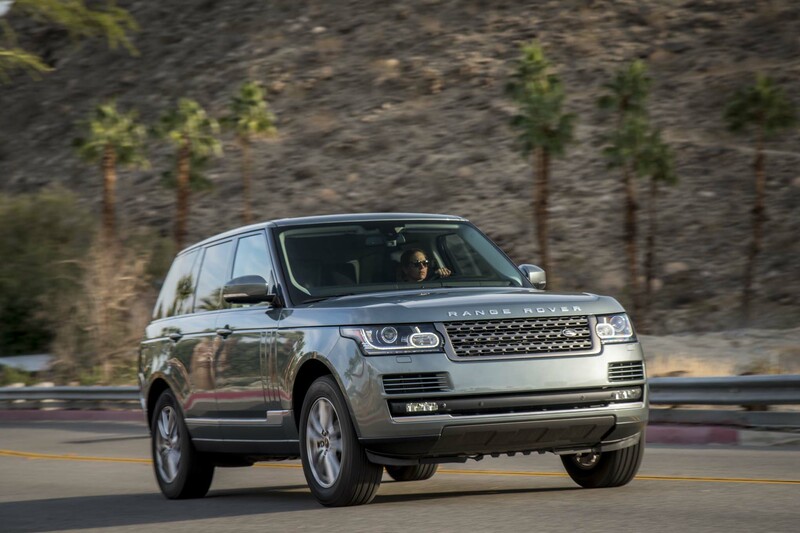 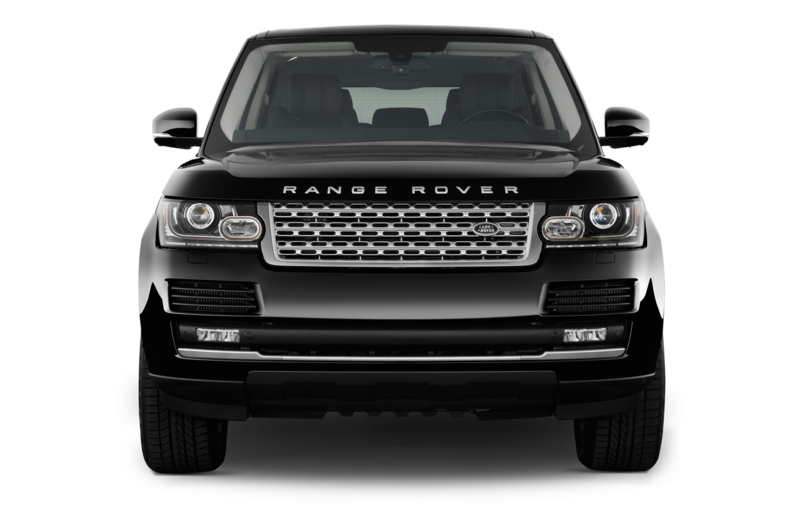 Despite the fact that the 2014 Land Rover Range Rover has become a cosseting highway car, it is even more capable out here than was the original. 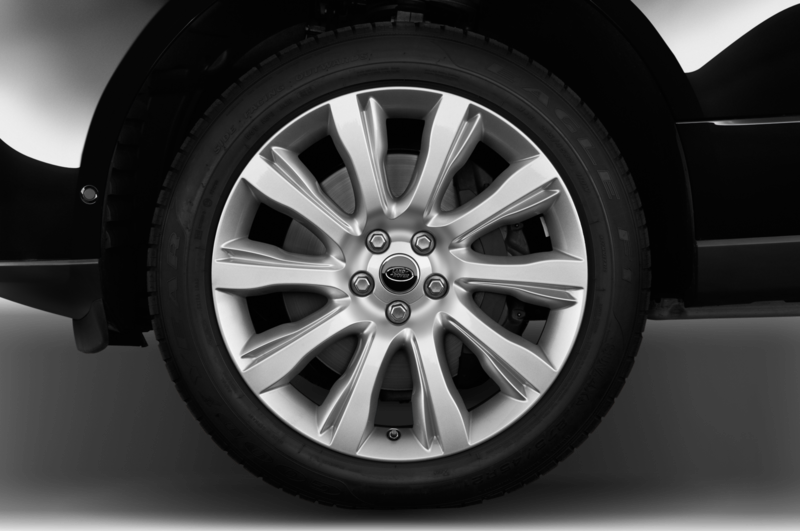 While an independent suspension of electronically controlled air springs has replaced the coil-sprung solid front and rear axles, the tremendous wheel travel has been retained; ground clearance, meanwhile, has increased to 11.6 inches. 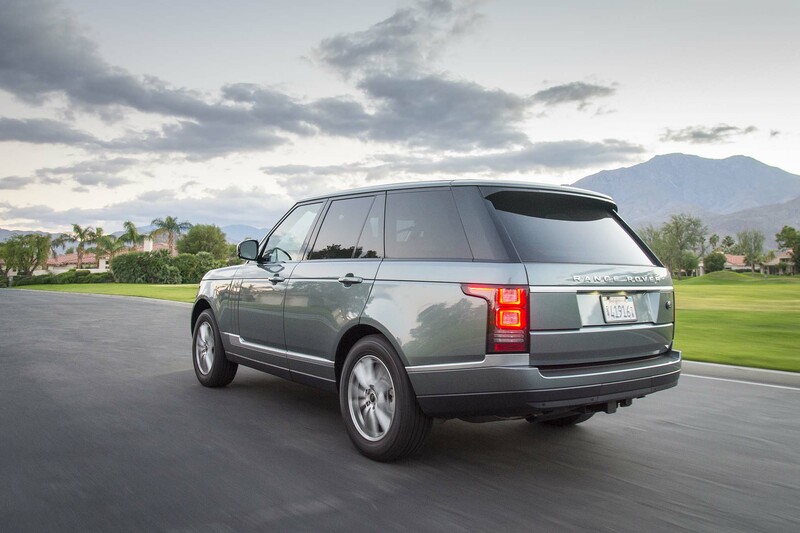 Where the 1990 model Range Rover had only a viscous coupling at the center and open front and rear differentials, today’s car has locking differentials both in the center and, optional in the Supercharged model, at the rear. 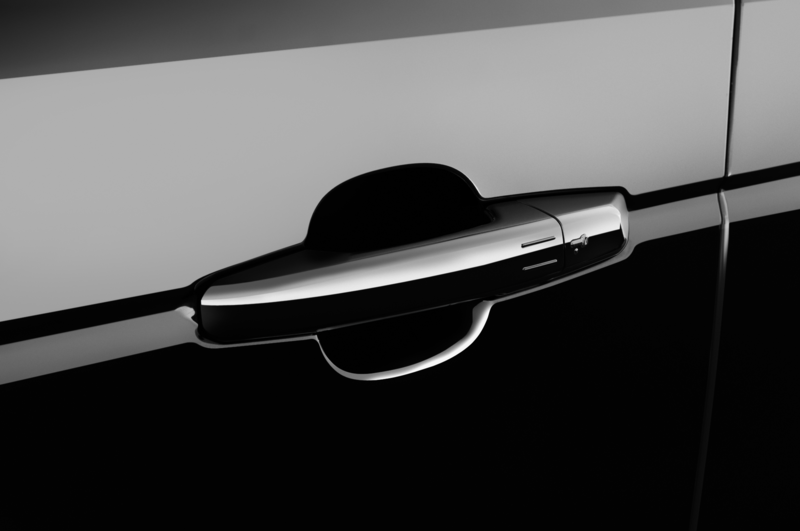 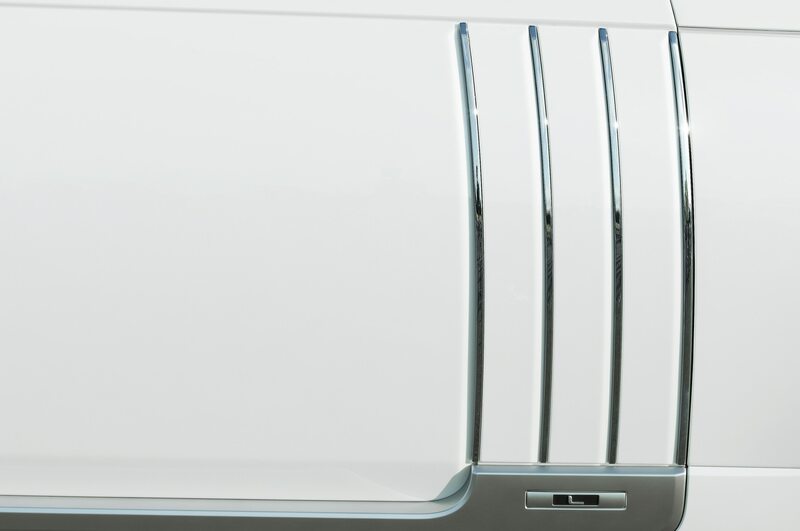 Both lock automatically, either partially or fully. 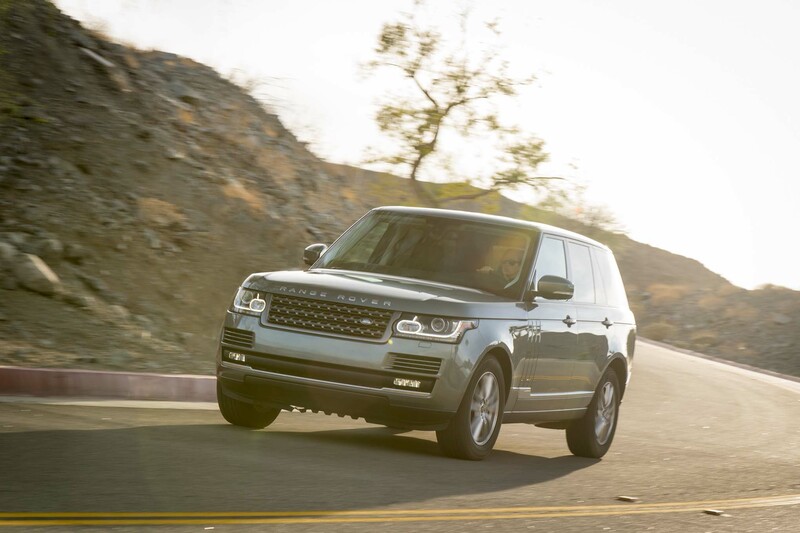 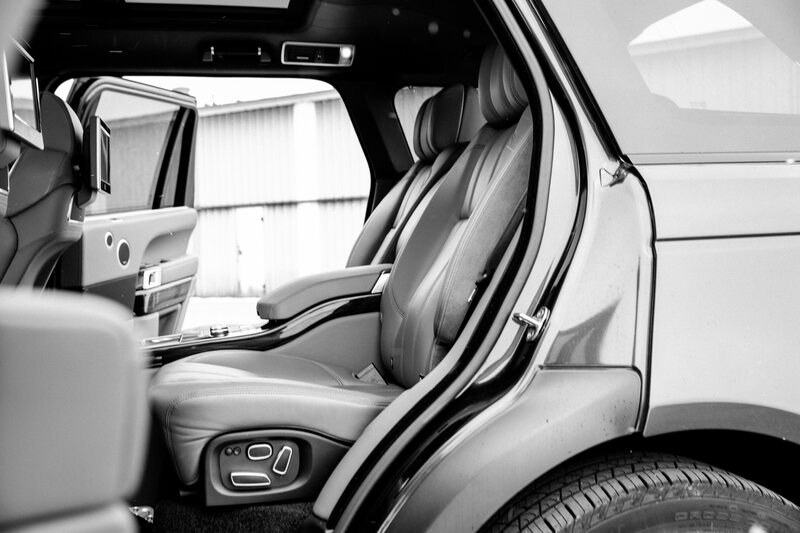 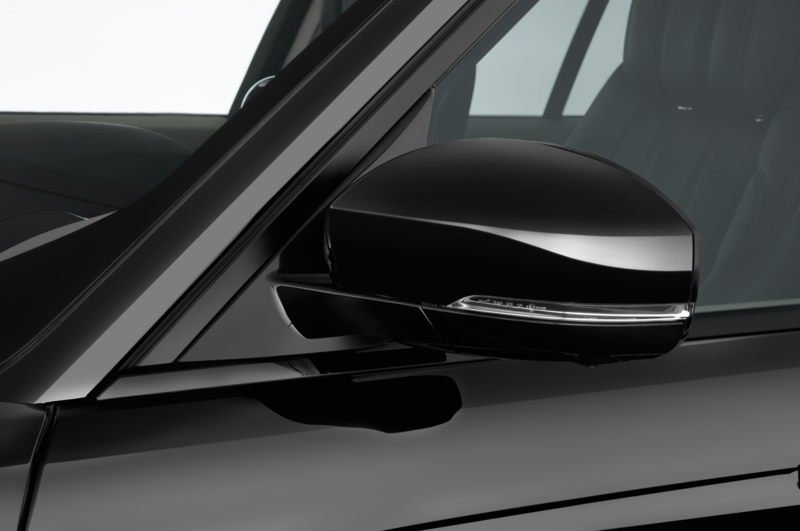 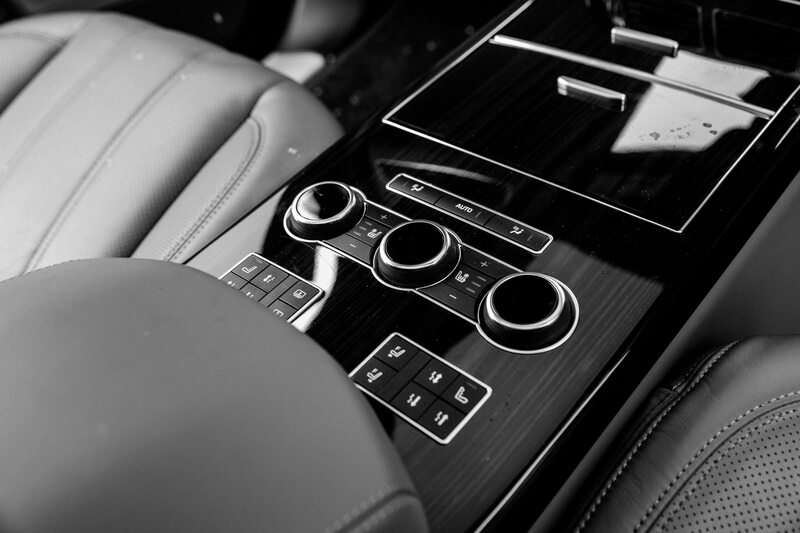 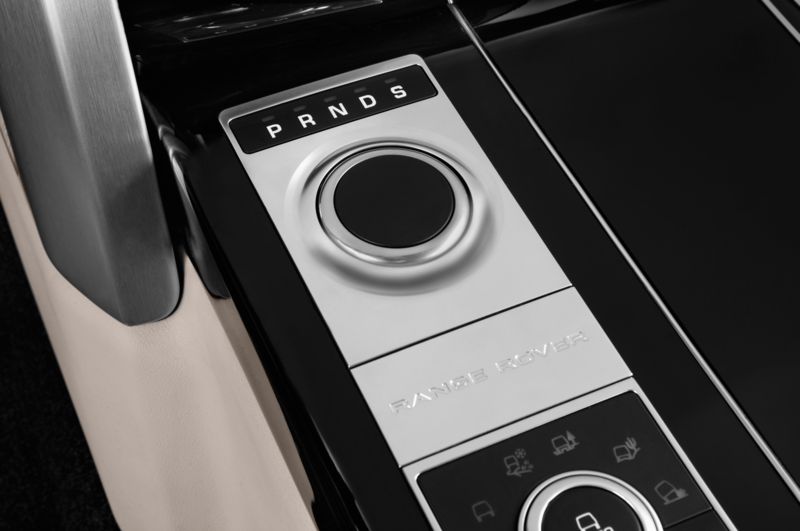 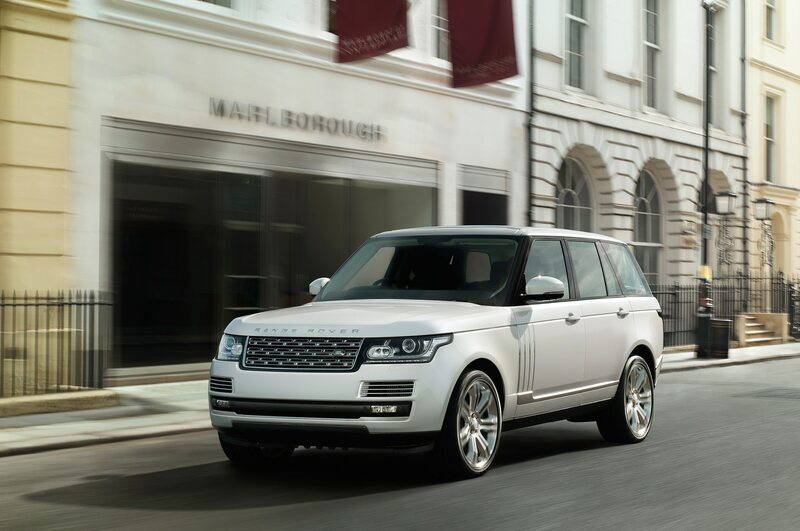 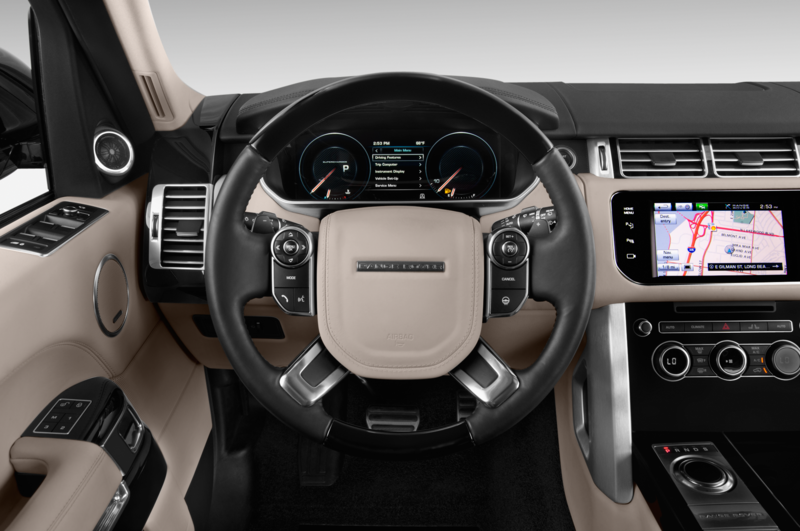 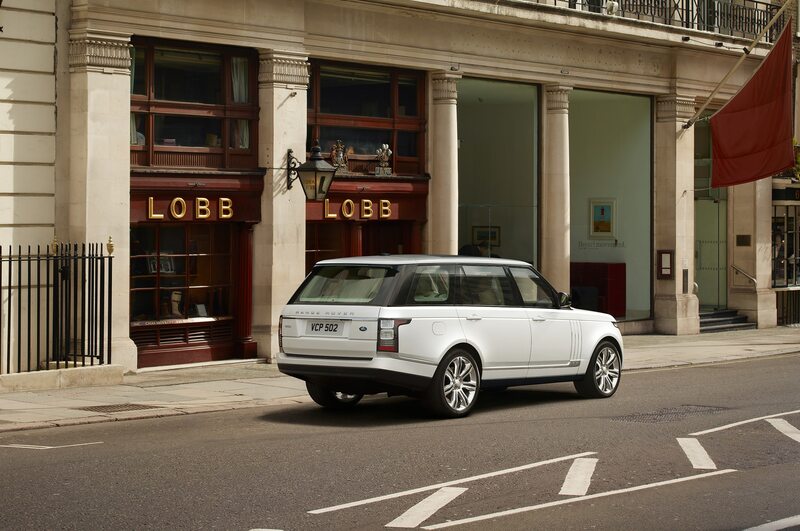 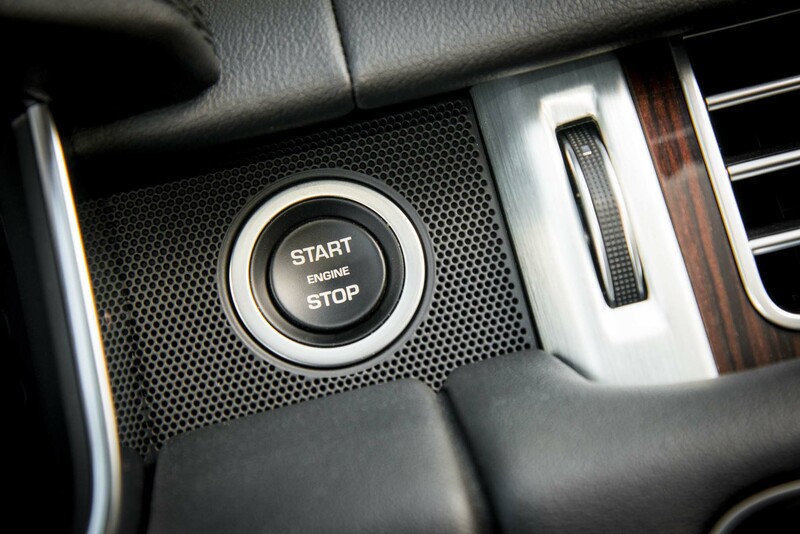 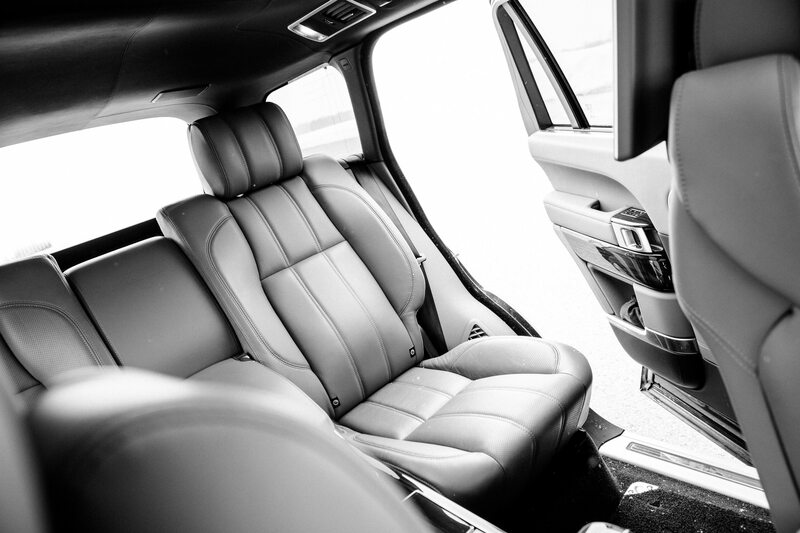 Hill Descent Control—engaged via a button on the console, or automatically in low range—supplements the ultra-low gearing to allow the Range Rover to tiptoe down the steepest slopes. 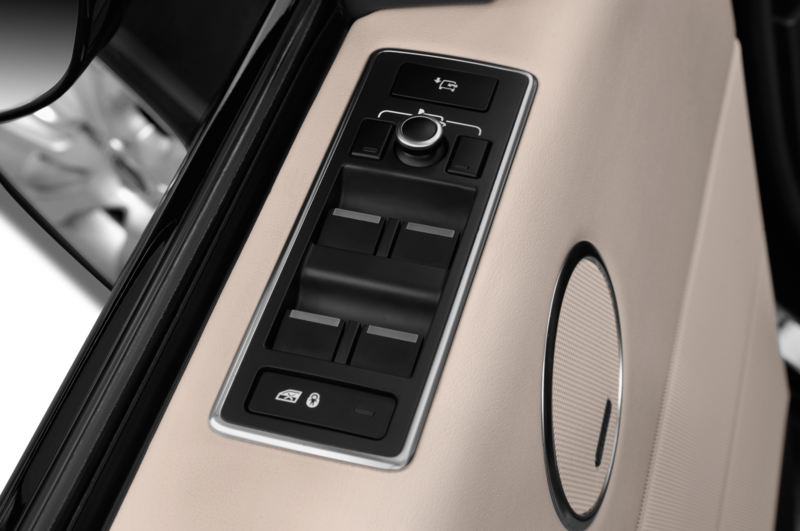 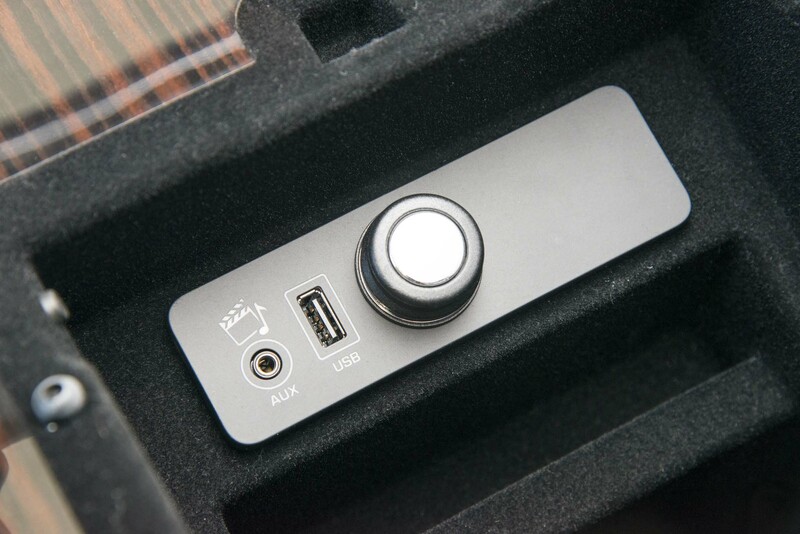 Another button raises the ride height by 2.95 inches, making for steep angles of approach (34.7 degrees) and departure (29.6 degrees). 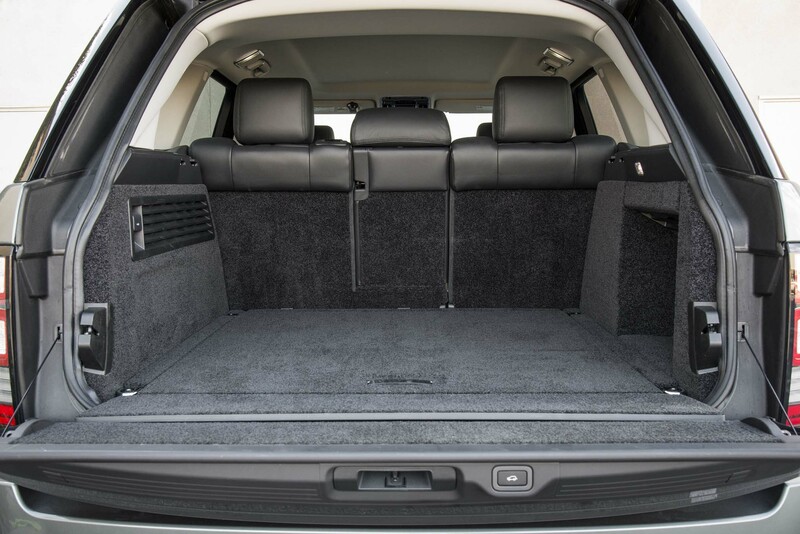 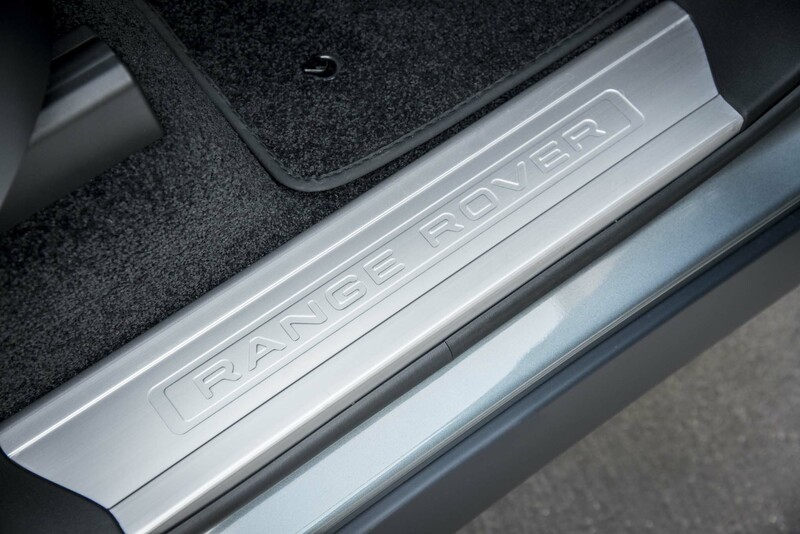 The Range Rovers require no special equipment for this trip—they are box-stock, down to their tires. 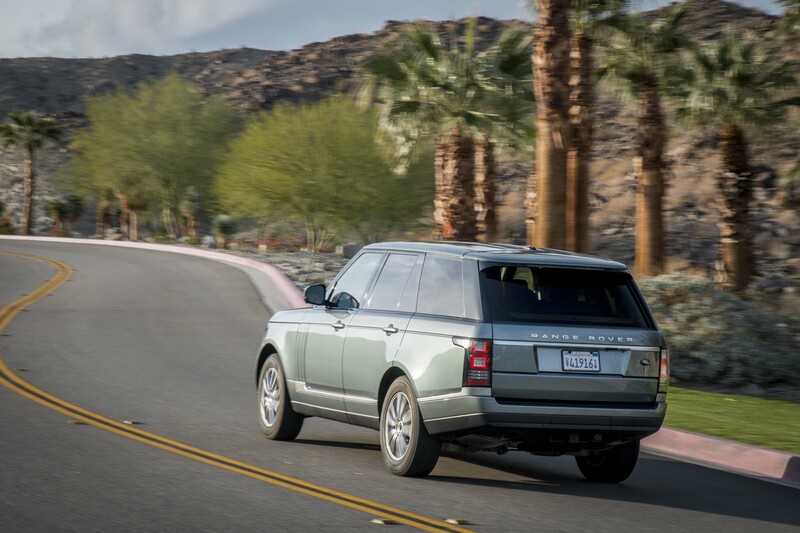 The short sidewalls of the 21-inch all-season tires prove to be vulnerable to cuts from sharp rocks, but they don’t appreciably hinder traction. 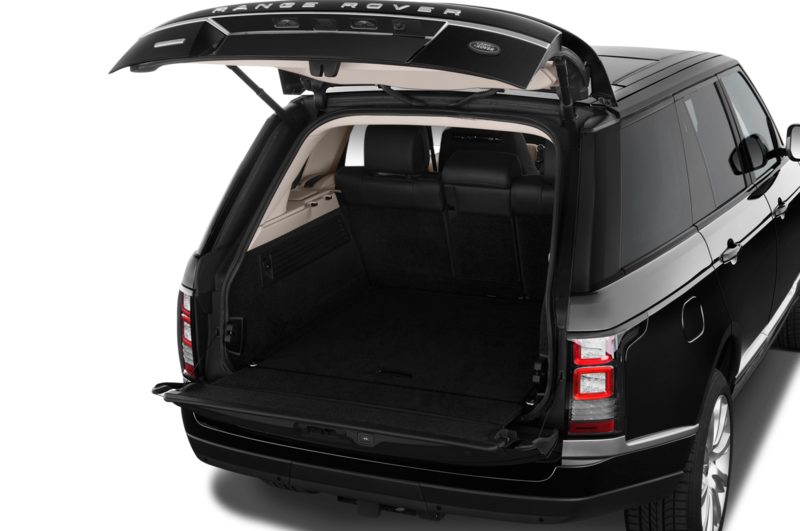 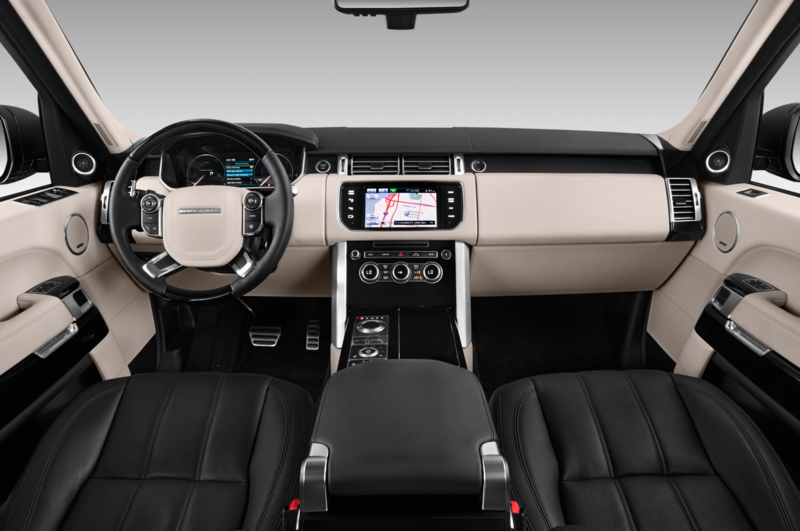 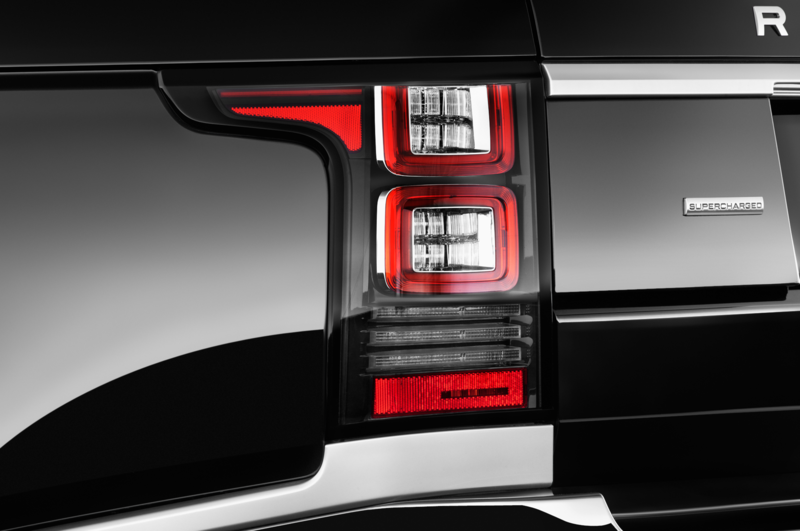 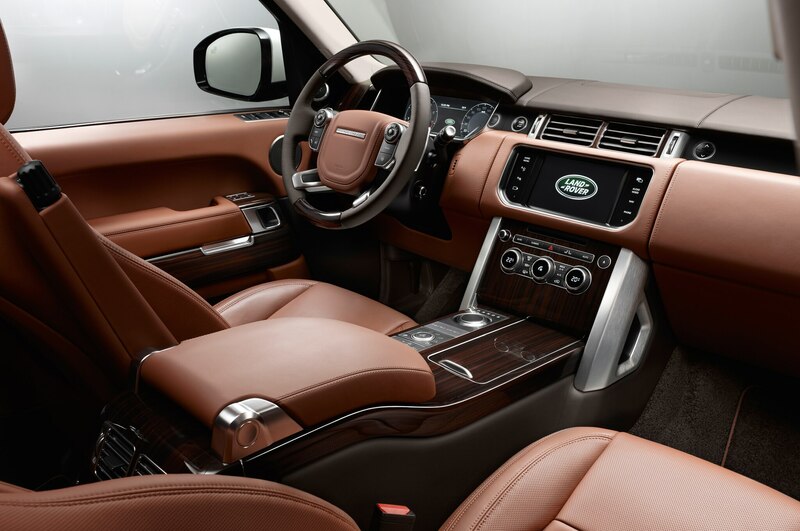 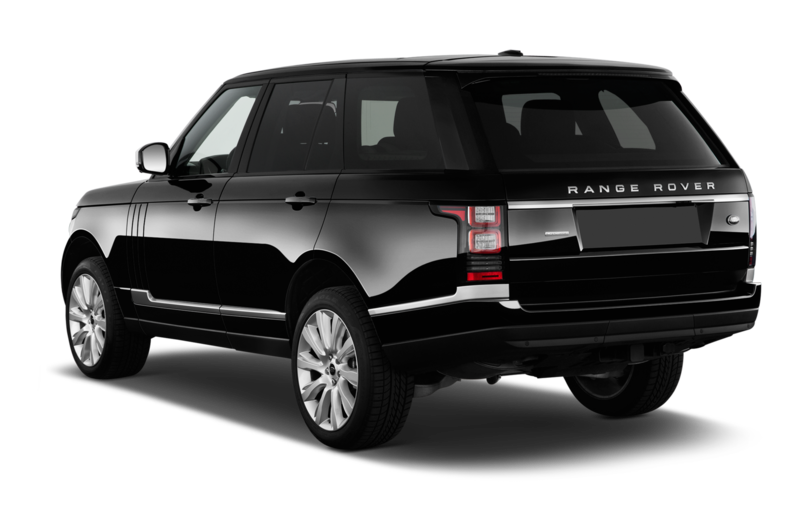 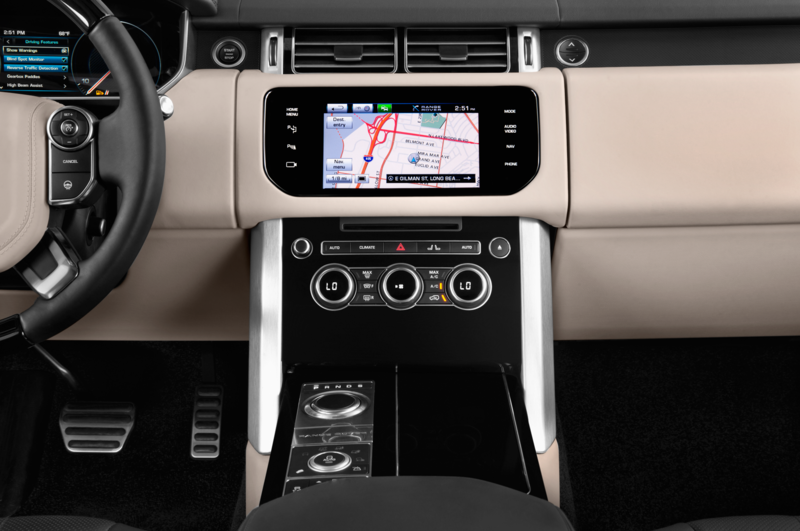 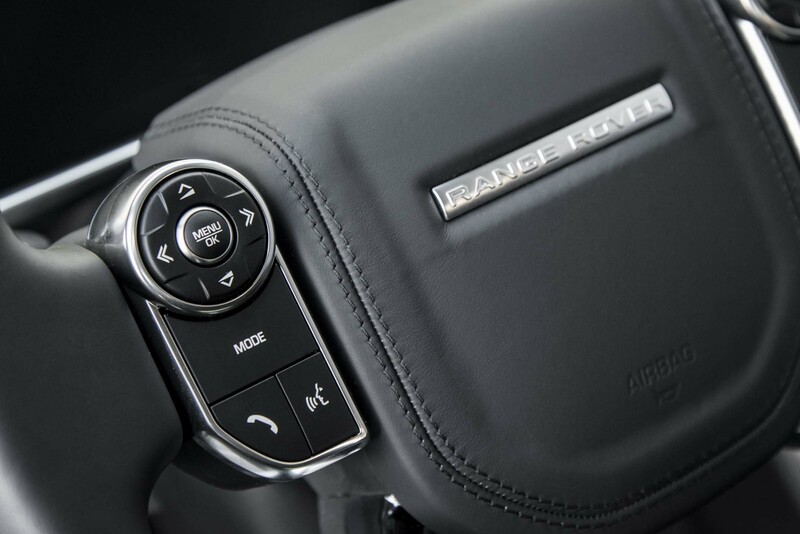 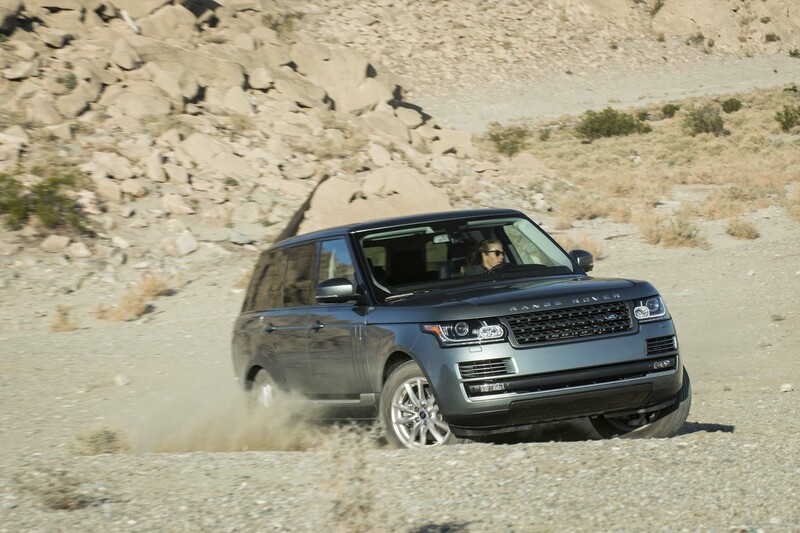 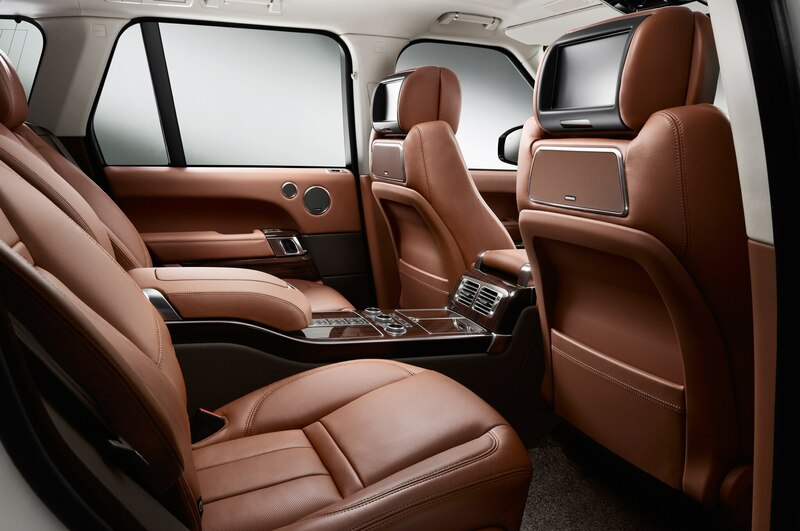 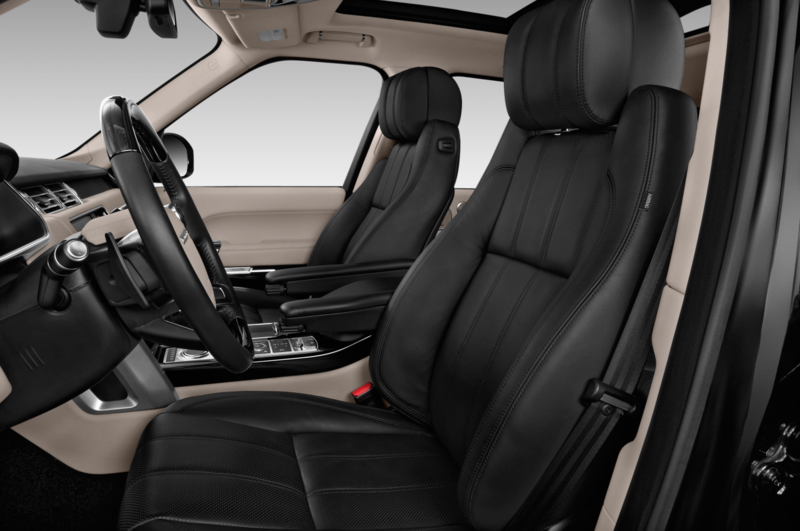 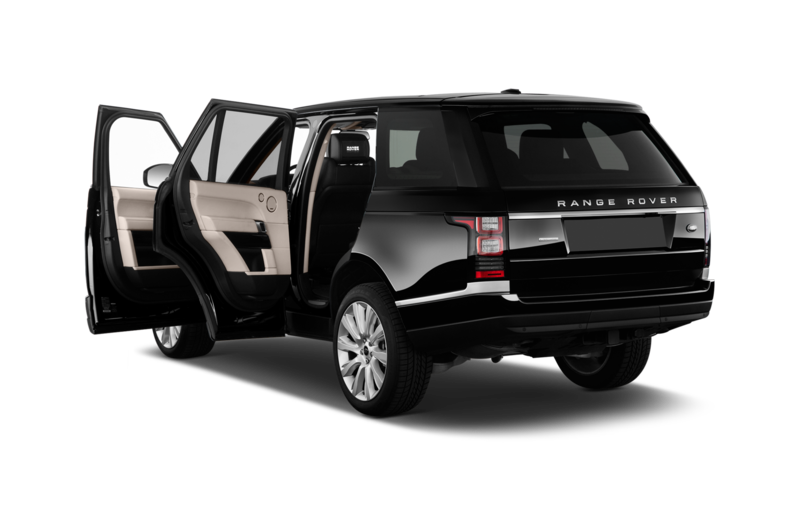 The Range Rover Supercharged comes with Terrain Response 2, which can automatically choose among the various off-road programs, so the driver doesn’t need to decide whether the trail is more Mud/Ruts or Rock Crawl. 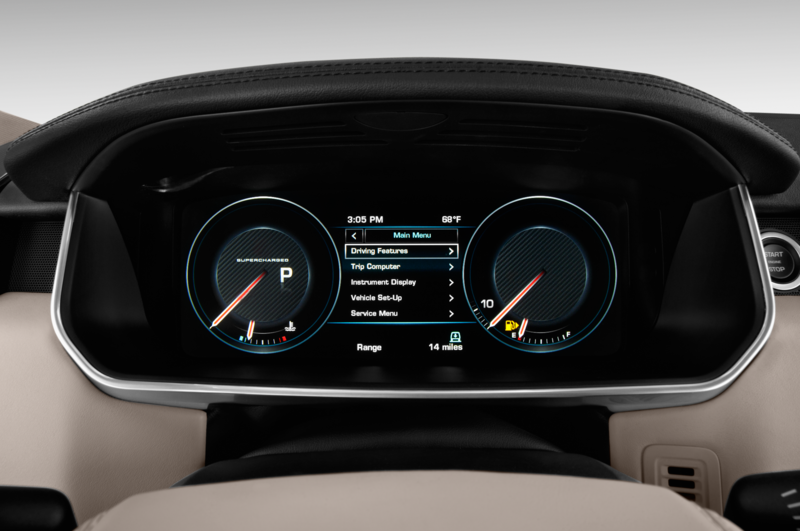 As we try for precise tire placement, it’s helpful to watch the suspension articulation schematic on the in-cluster monitor while the central screen shows the view from the side-mirror cameras. 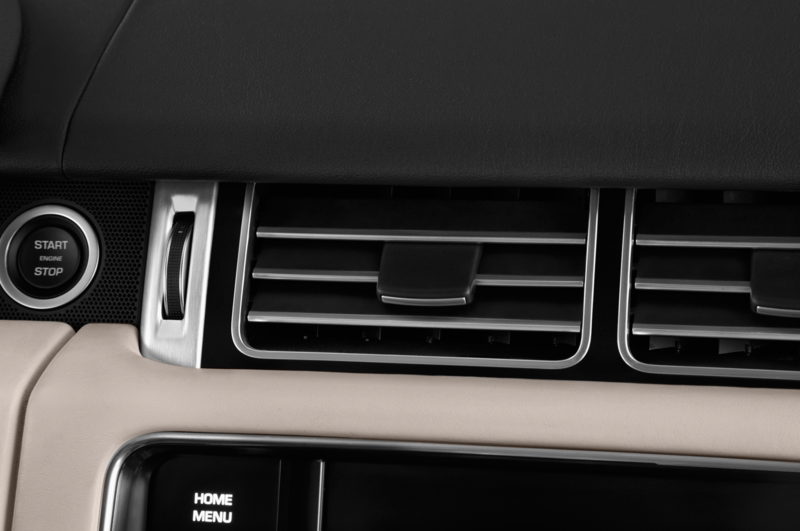 On mellower sections, we switch the display to the satellite radio info. 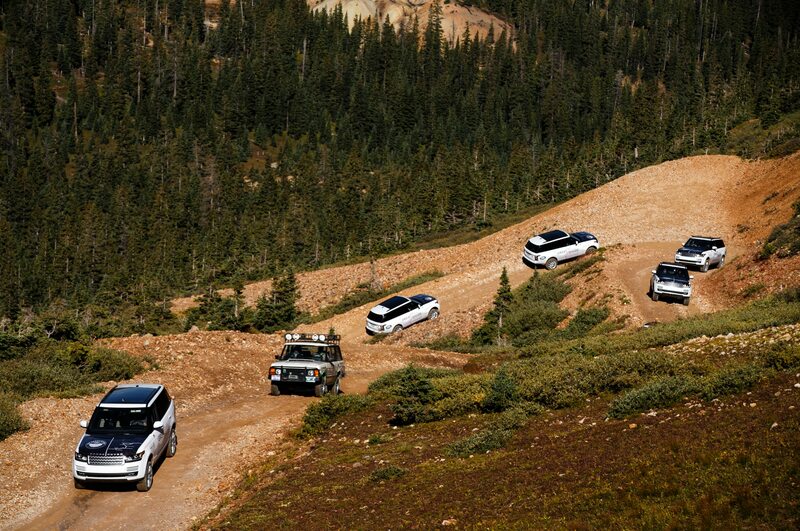 One thing that has not changed is the majesty of this part of Colorado. 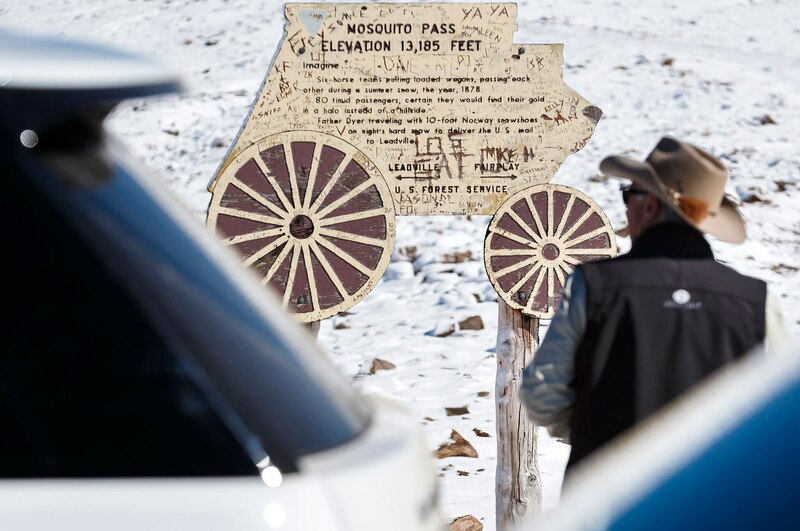 Sure, the state looks pretty from I-70, but the grandeur reaches a whole new order of magnitude when viewed from the top of Engineer Pass or from a dirt road through a vast, empty valley that appears as it might have a century ago. 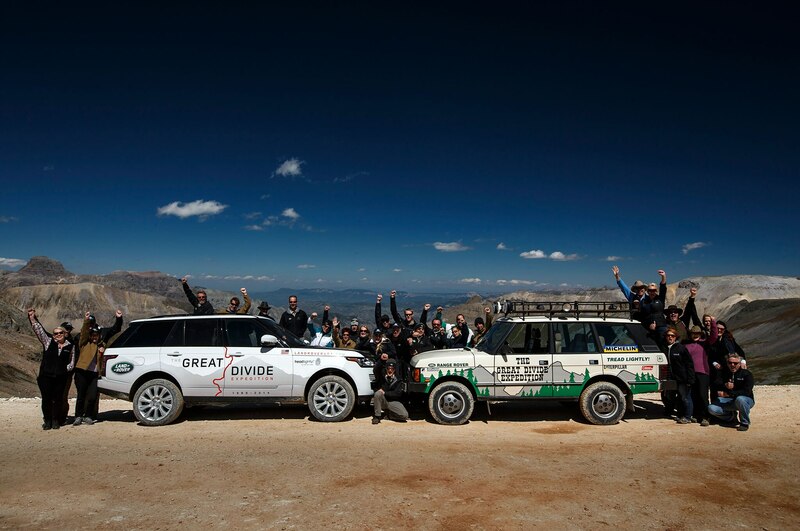 As Automobile Magazine founding editor David E. Davis Jr. said of the first Great Divide Expedition: “This is something that everybody ought to do, but only a few will.” As true in 1989 as it is now, the Great Divide Expedition is one great drive. 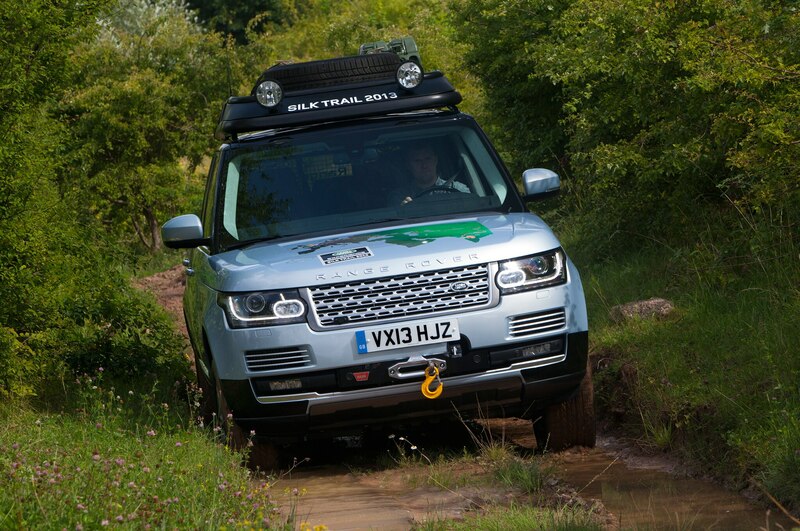 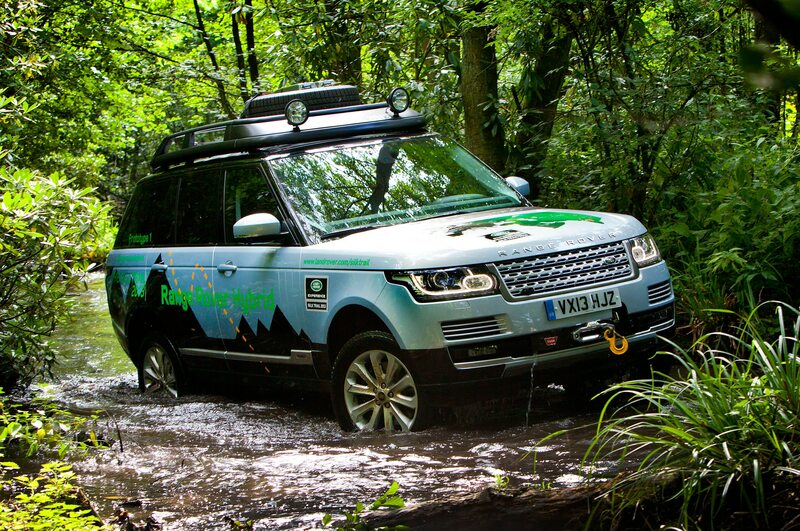 No carmaker goes as far and wide seeking out off-road adventure as Land Rover does. 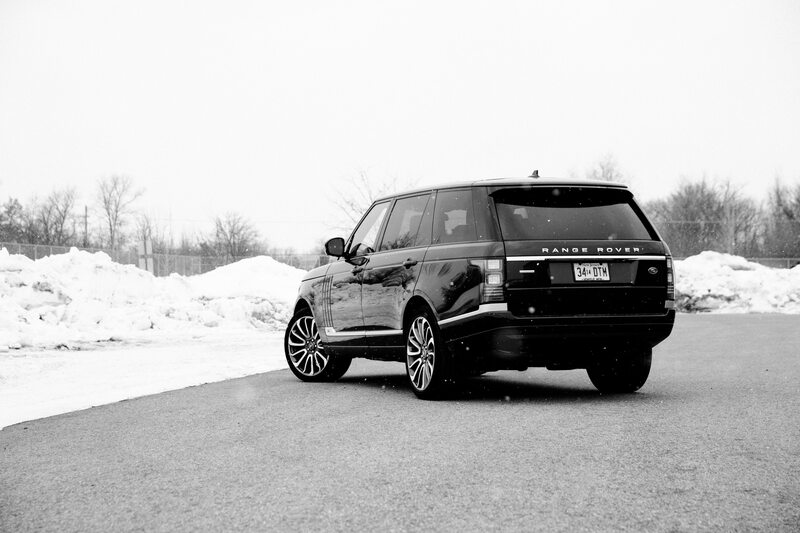 Below, some dispatches from the ends of the Earth. 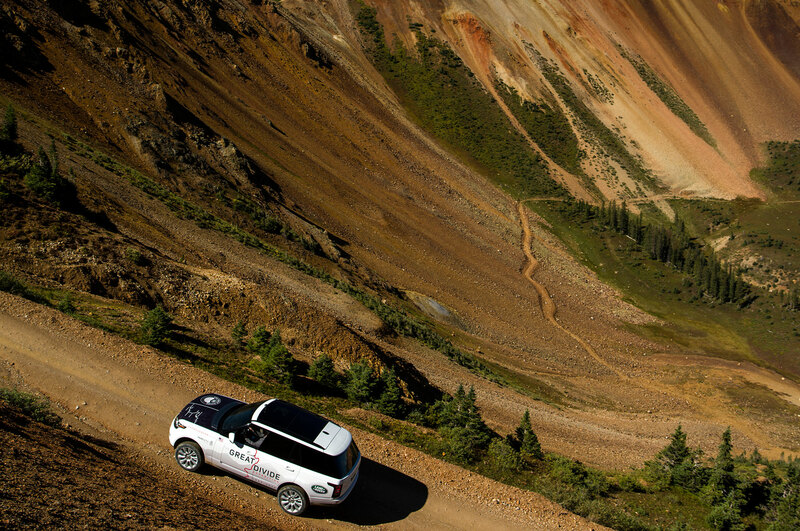 “Ascending above the tree line, across Engineer Pass (elevation 12,840 feet) produces a not-of-this-planet experience that is memorable due to the absence of anything but granite and snow. 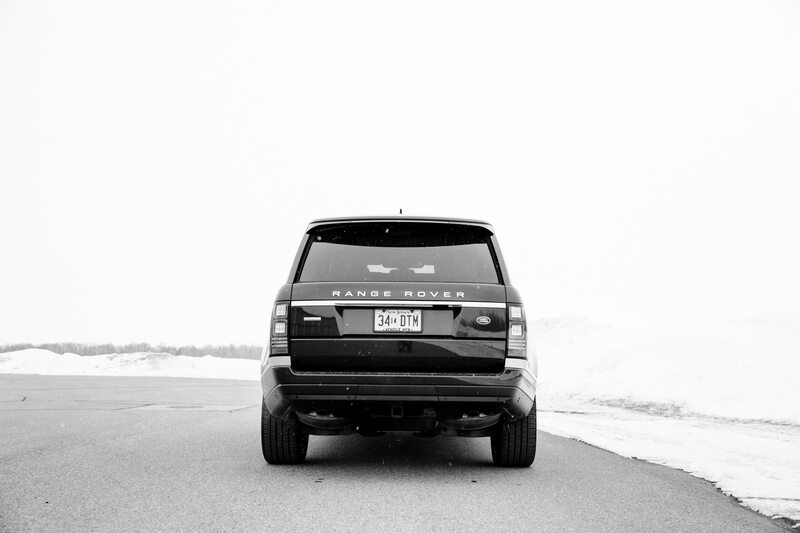 Such settings tend to make one feel very small and temporary in the overall scheme of things.